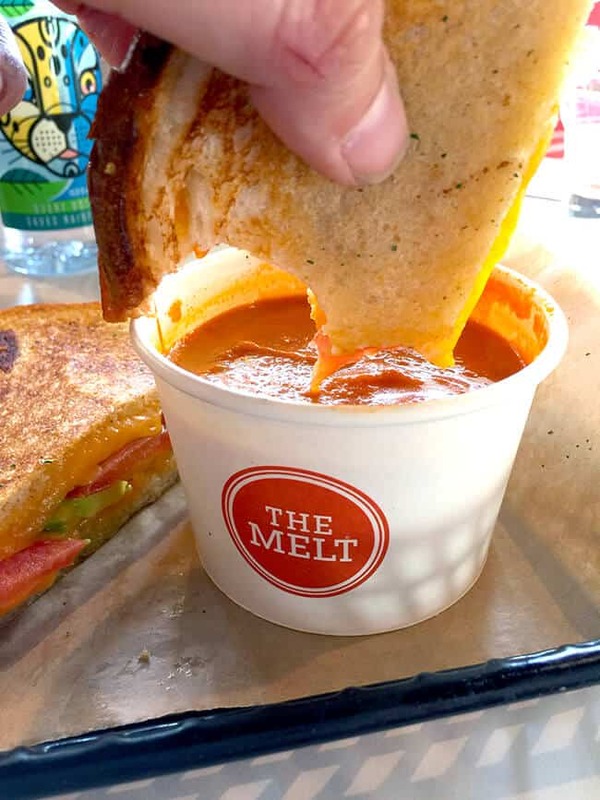 have you been to The Melt yet? 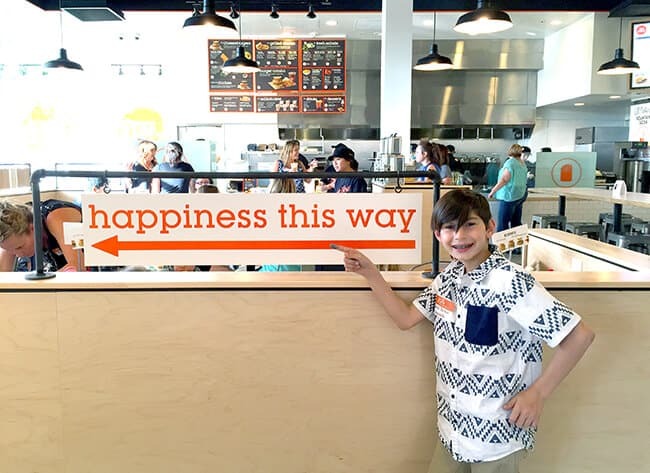 it’s a new eatery here in Orange County with three locations in Tustin, Irvine and Mission Viejo. 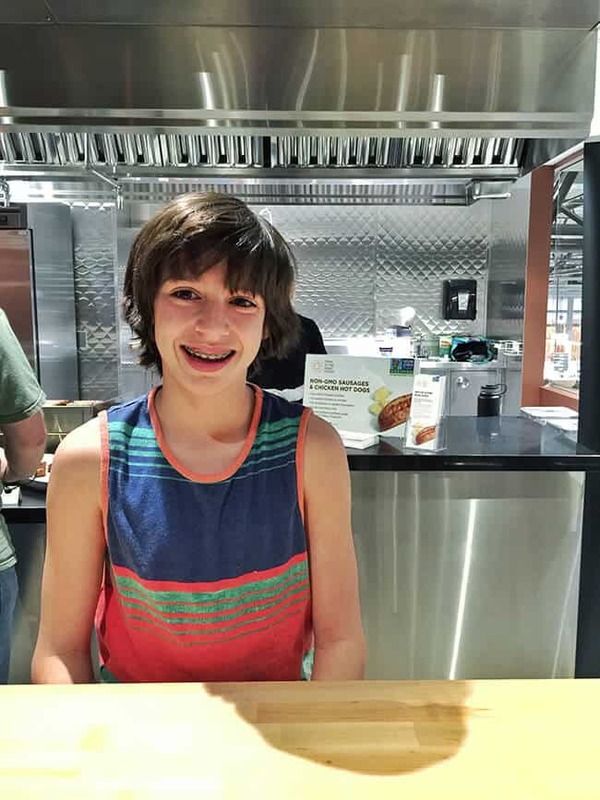 i took the boys to The Melt a couple of weeks ago and was not only impressed with their food, but also how they are giving back to our community. 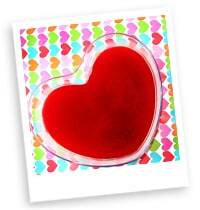 i am so excited to share all about The Melt with you! 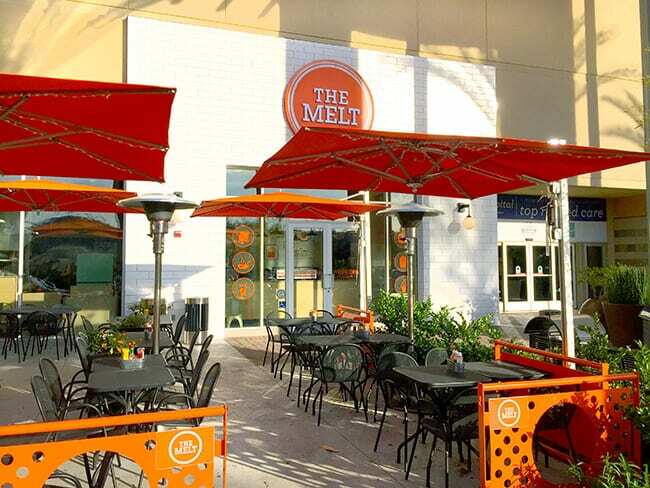 The Melt has come to the OC from San Francisco where it was founded. 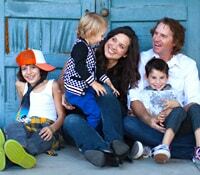 its mission is rooted in two key principles – better food for today’s kids and jobs creation. 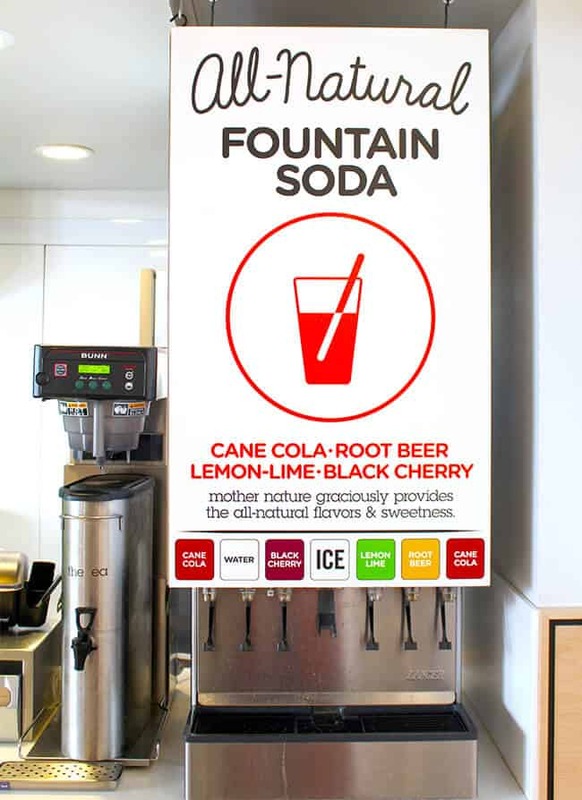 this simple mission lives on through the hundreds of crew members at the chain’s stores and headquarters, countless pleased customers served with a smile, and the real happy food made from real, 100% natural ingredients with names you can pronounce. 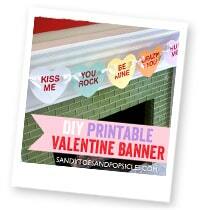 isn’t that awesome! 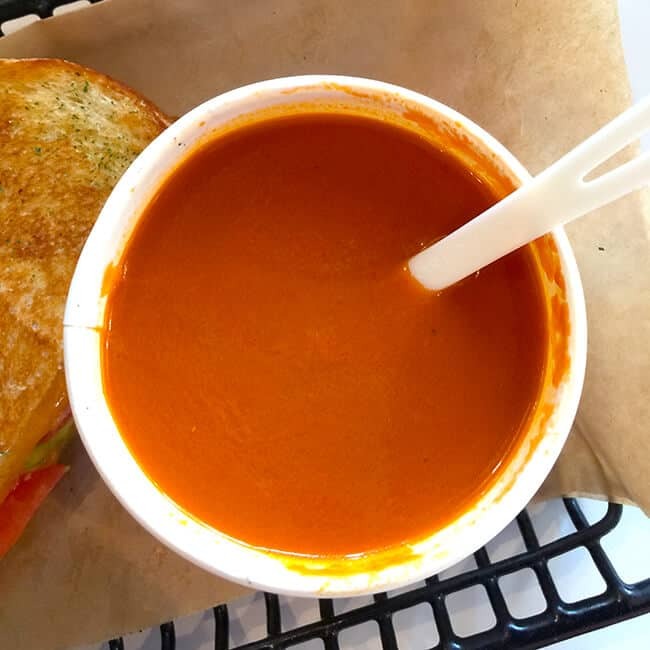 The Melt offers yummy all-natural food like ooey, gooey grilled cheeses…melted to order, juicy burgers made with a custom blend of Angus and Wagyu beef, homemade soups, mac n’ cheese with real aged cheese, fresh made-to-order salads and don’t forget the fries. 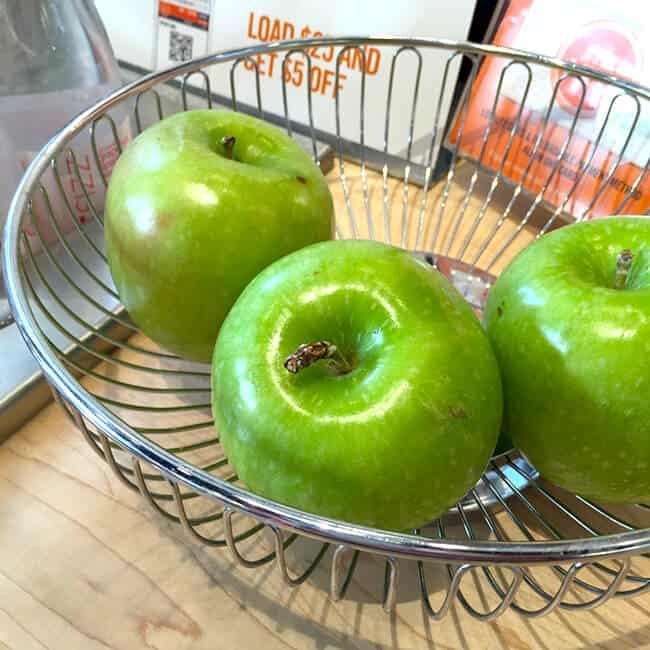 their goal is to offer real happy moments for customers by using quality ingredients including everything from high fructose corn syrup free-ketchup to artisan-baked buns to the season’s peak produce. 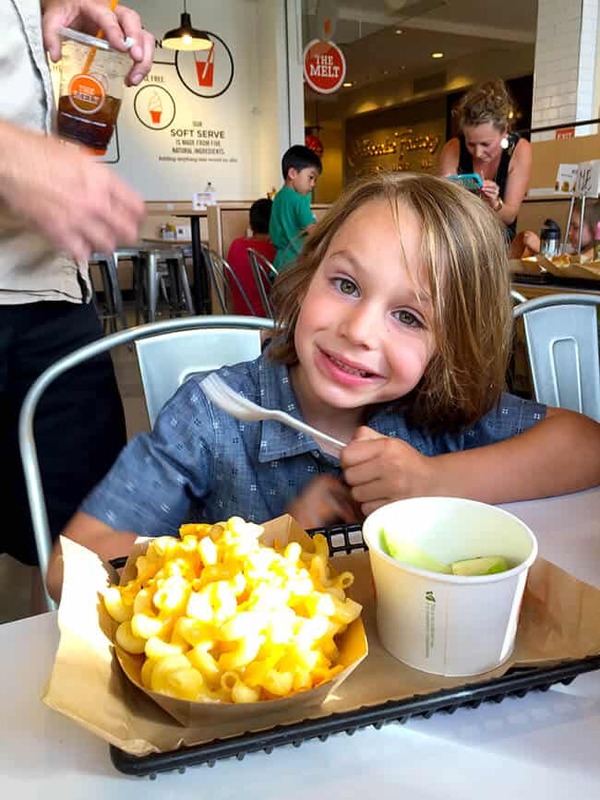 first of all, the boy and i…LOVE GRILLED CHEESE, and secondly this place is great for families and anyone looking for a cheese fix! 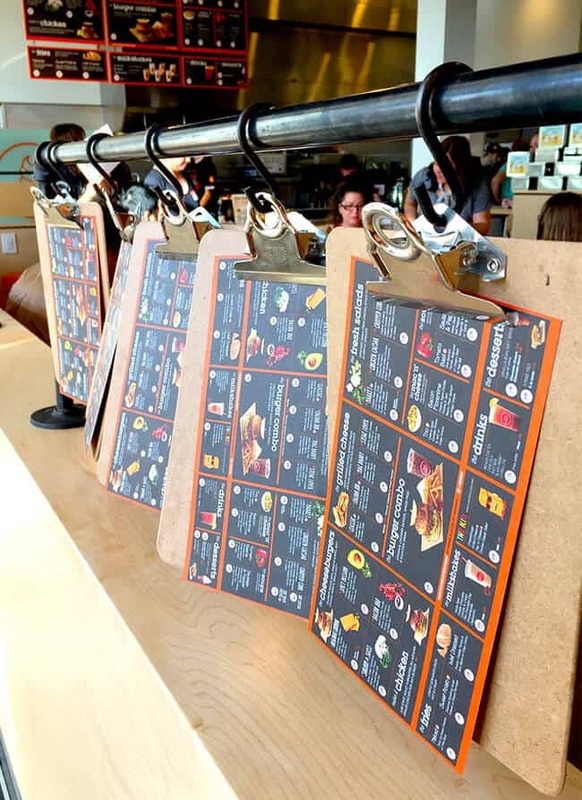 when you arrive, fill out an order form and head to the service counter to get your order taken. 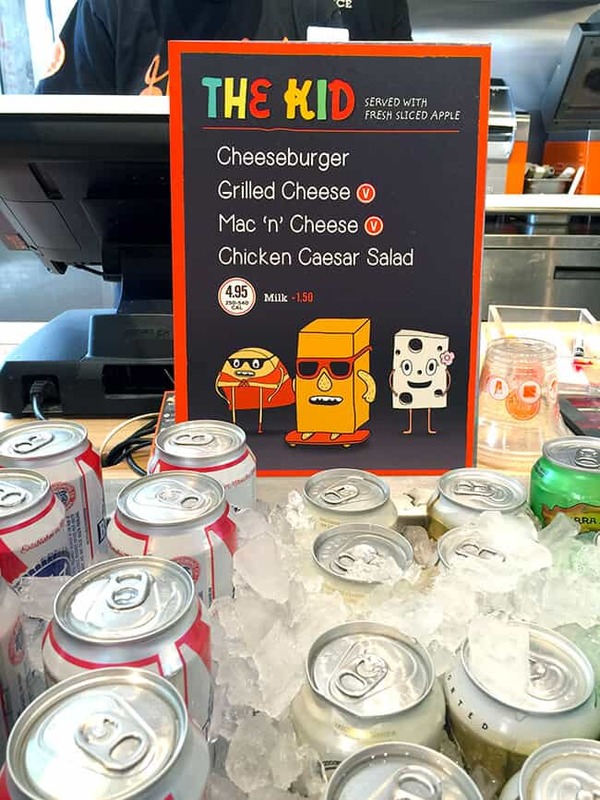 if you want to skip the line…honoring the company’s tech-based roots, The Melt features the latest in online, mobile and in-store kiosk ordering, along with geo-tracking via their app, allowing The Melt crew members to start making online/app orders once a guest is within 500 feet of the store. 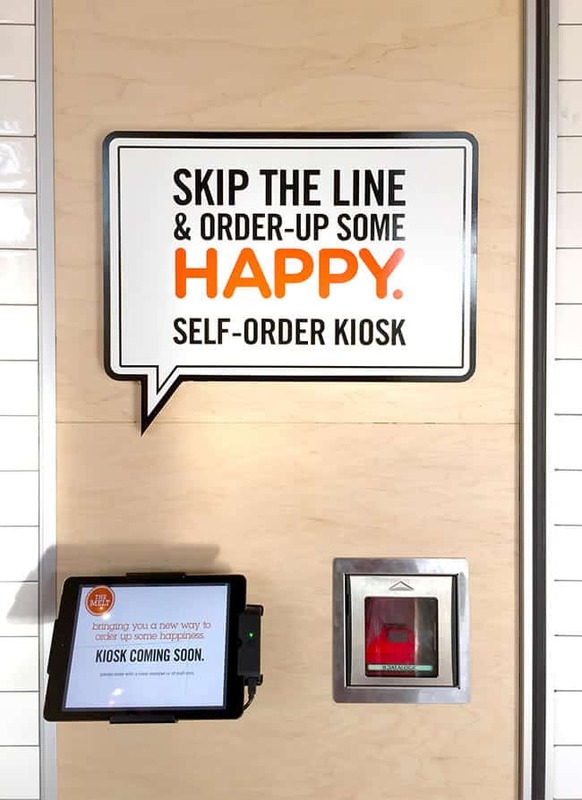 this state-of-the-art technology allows guests to skip the line anytime. 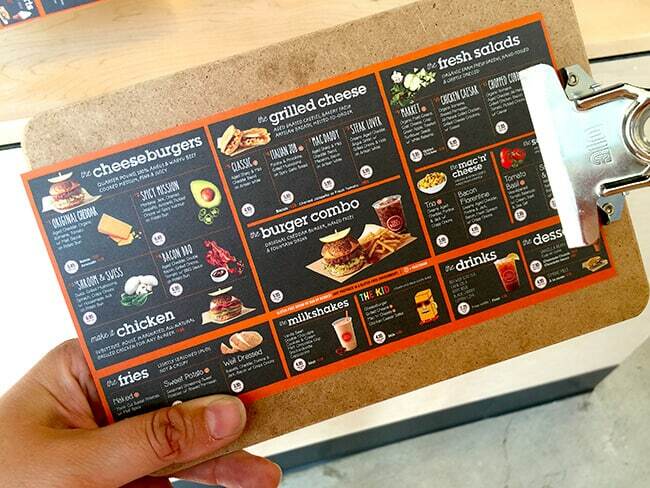 once your order is taken….get ready for some tasty food that is being freshly made just for you!!!! check out what the boys and i ordered. 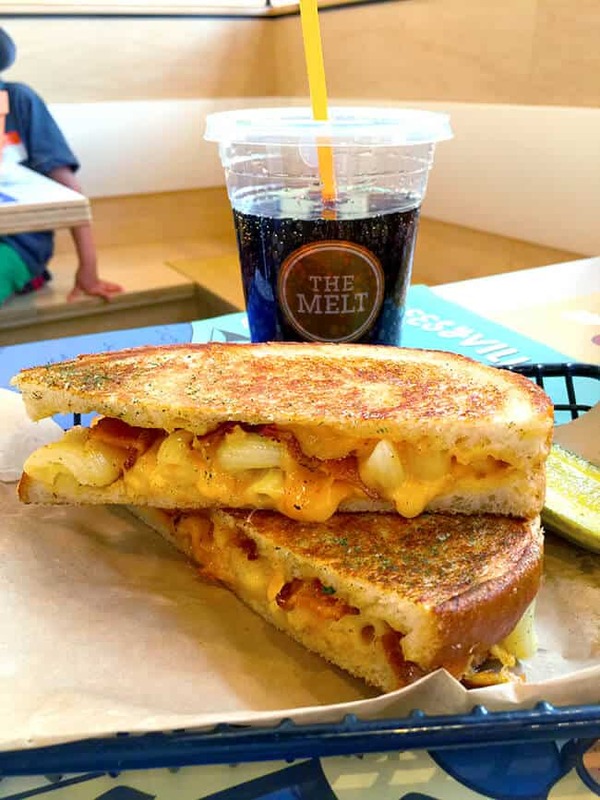 yes, that is mac and cheese you see in that grilled cheese. 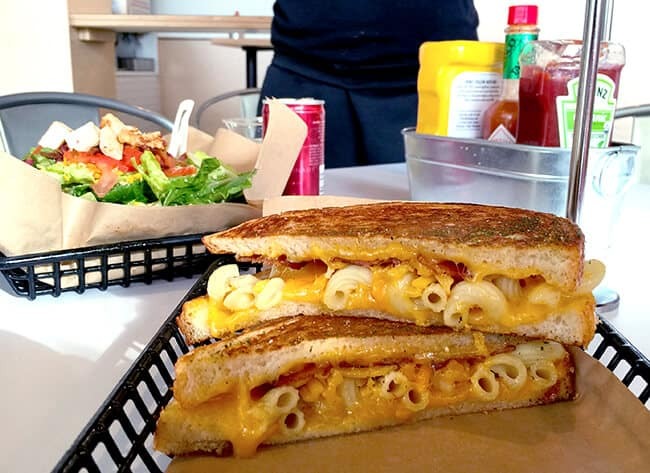 it’s called the Mac Daddy and is filled with mac and cheese and bacon. 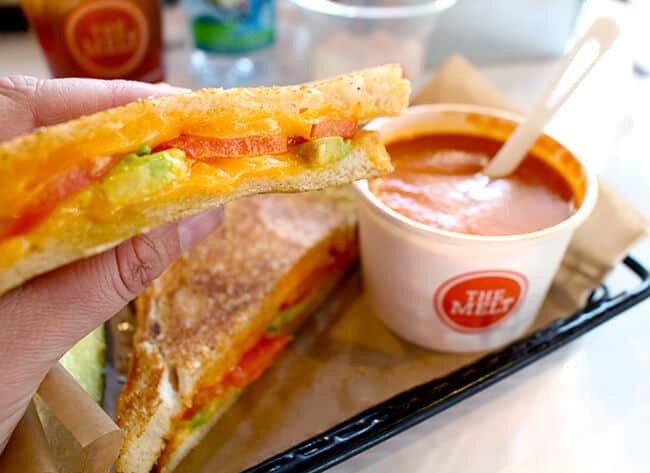 for me it was a grilled cheese with avocado and tomato grilled cheese and tomato soup. 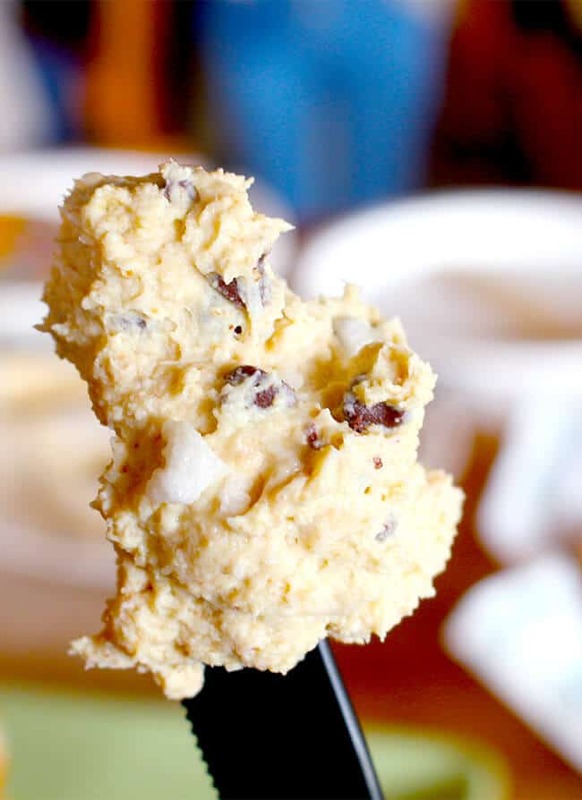 super yummy and very dunkable. my oldest son got the grilled cheese cheesesteak. creamy Aged Cheddar and Provolone, Angus Sirloin, Grilled Onion with hot sauce. 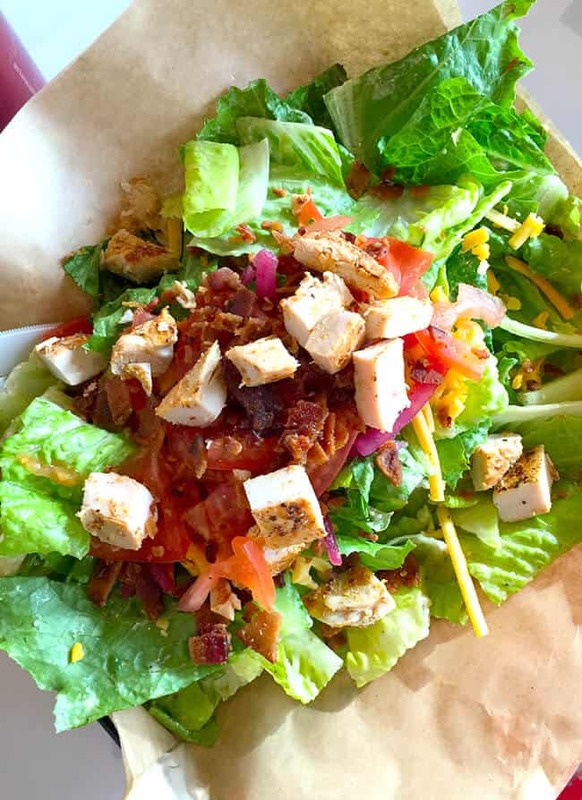 there are fresh salad options available too. what?!!!! 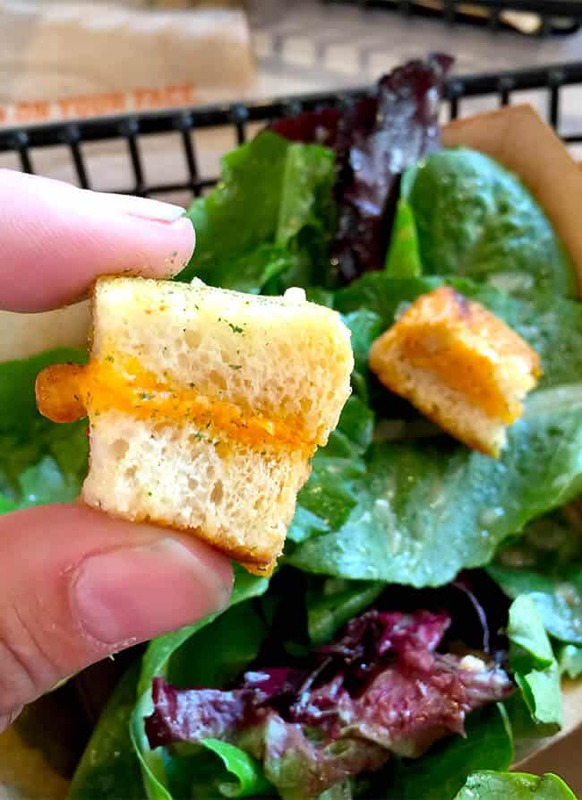 mini grilled cheese croutons on my salad!!!!!! 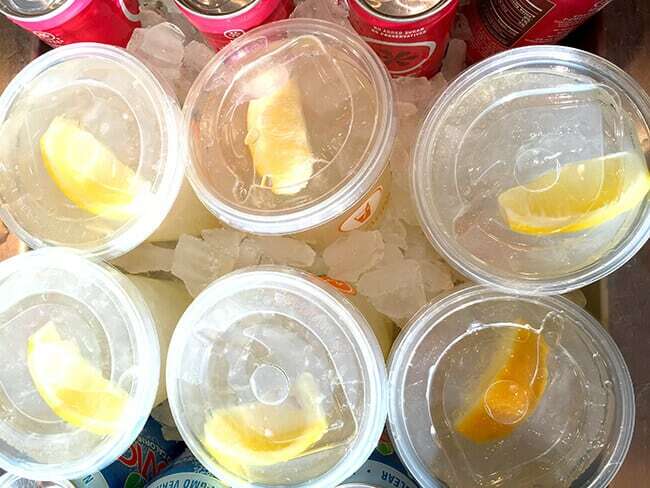 for beverages, The Melt offers fresh squeezed lemonade, all-natural sodas, sparkling juices and water, beer, wine and made to order milkshakes with flavors such as Vanilla Bean, Cookies & Cream, Salted Caramel and Mint Chocolate Chip. 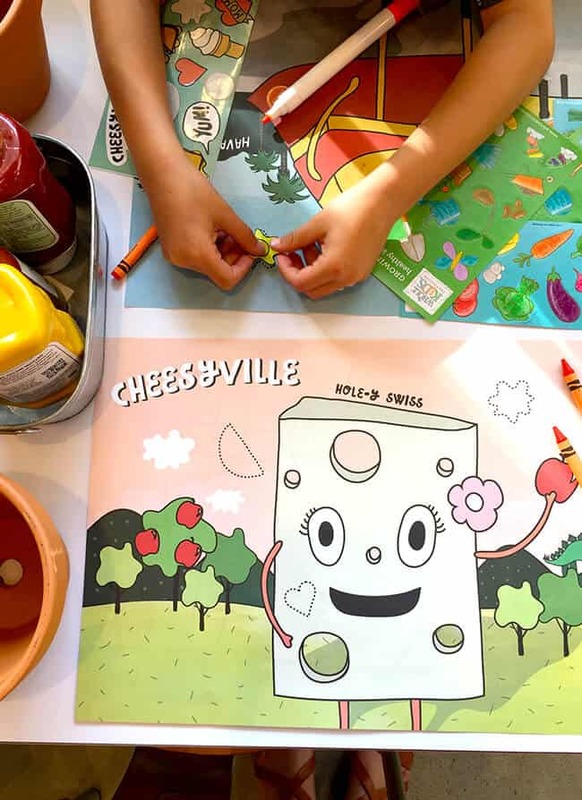 for kids’ meals, The Melt offers choices kids always ask for. 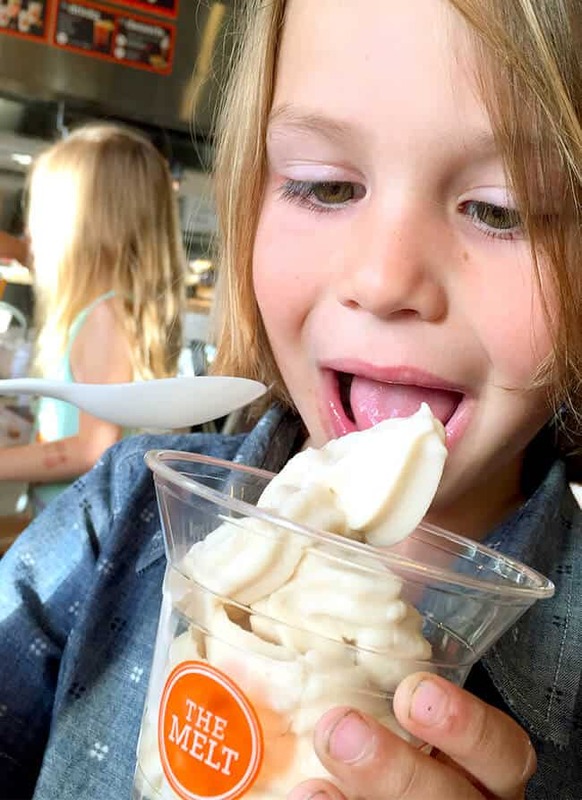 since the food is all-natural, you can feel good about serving to to your children. 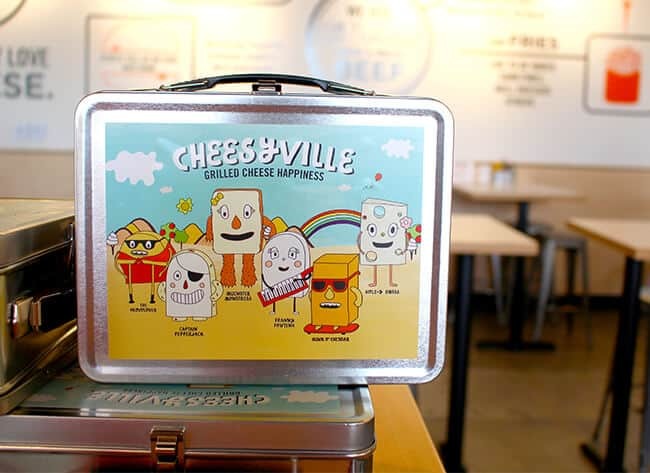 the meals come in cute containers, and coloring sheets and stickers are available to keep those kiddies occupied while the food is being prepared. 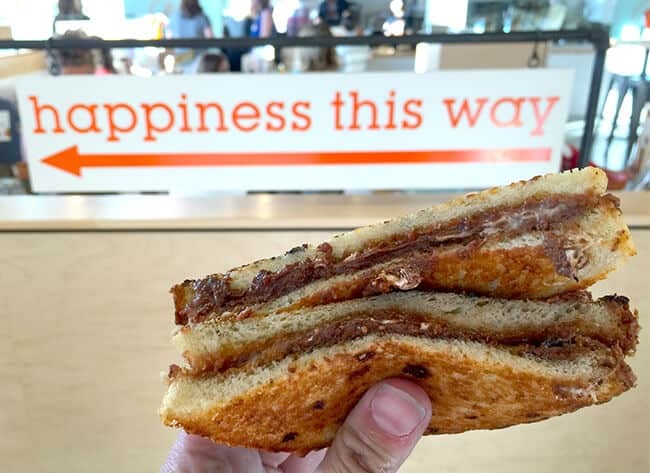 The Melt is truly family-friendly. 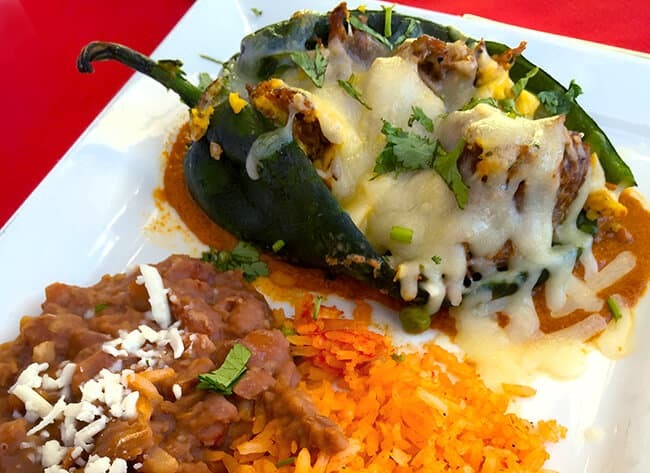 you get the experience of a sit down restaurant, without the wait. 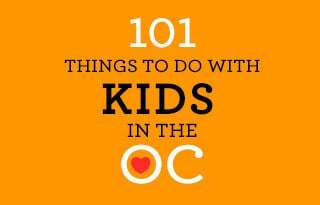 and parents know, with kids, the quicker the service the better. 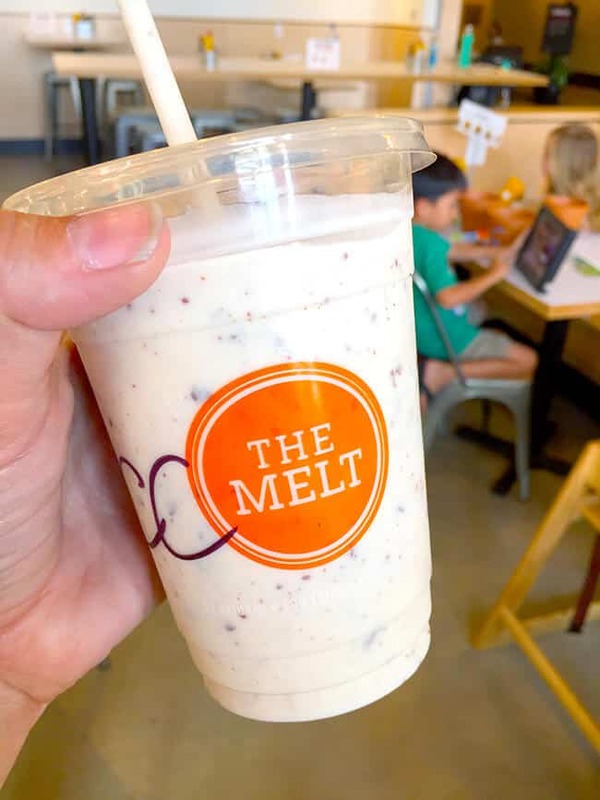 remember how i said that The Melt is doing great things in our communities. 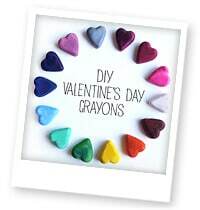 they have a special partnership with the Whole Kids Foundation. 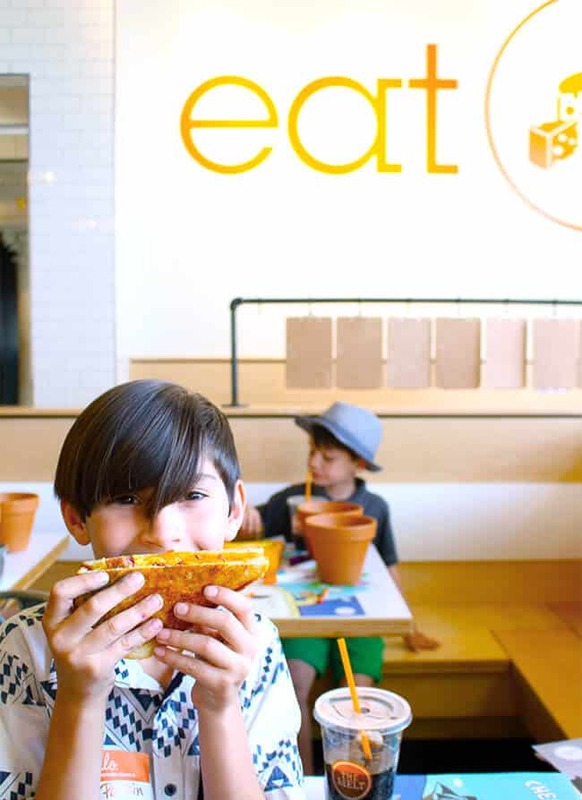 together, they are on a mission to improve children’s nutrition by supporting schools and inspiring families through knowledge, understanding and consumption. 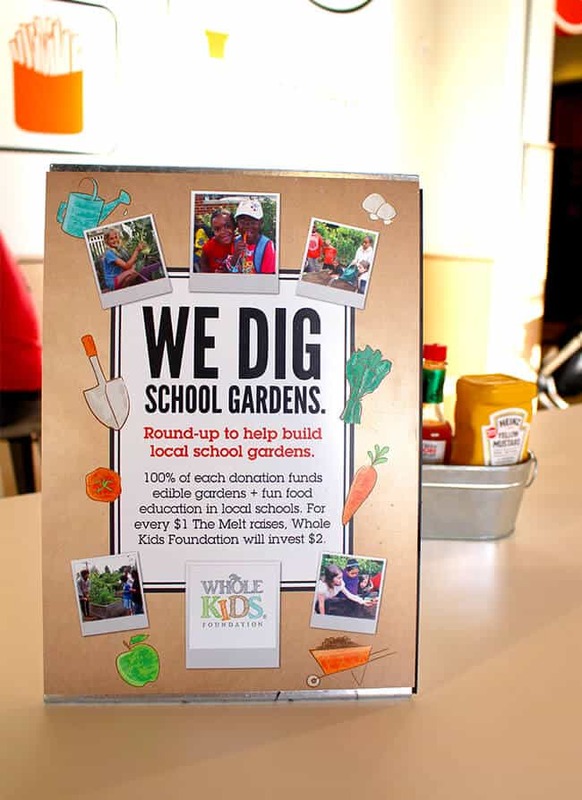 when you round-up your order to the nearest dollar at The Melt, 100% of your round-up donation goes toward funding edible school garden grants at local area schools through Whole Kids Foundation. i feel that having gardens in our schools is very important in inspiring kids to learn about the foods they eat and to live better lifestyles. one of the reasons that i started gardening with my boys. 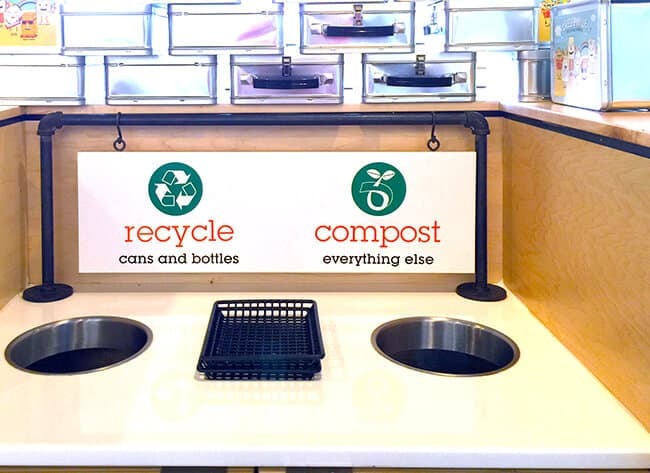 they are also committed to recycling and composting the waste that comes out of their restaurants. 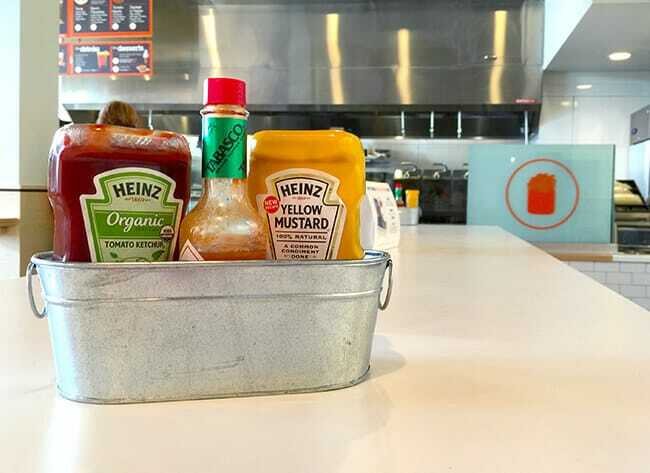 The Melt uses 100 percent recyclable and compostable packaging in its restaurants, there are no trash cans – only recycling and compost bins. 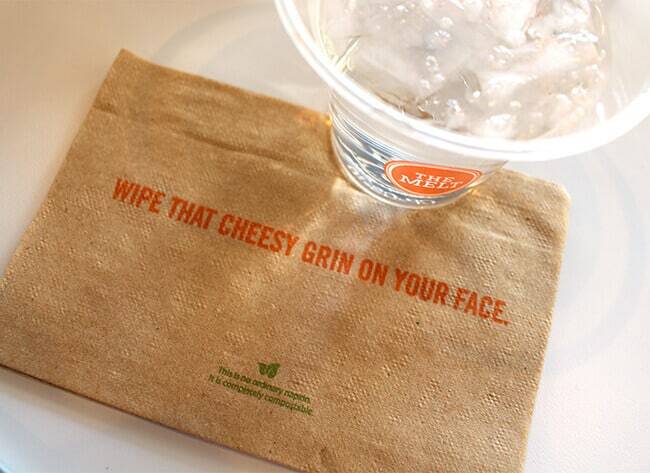 we need more places like The Melt who care about their footprint on the environment. 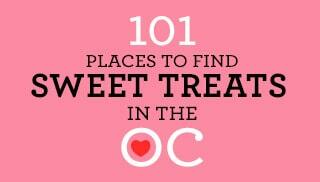 and before you leave, be sure to get a little dessert. 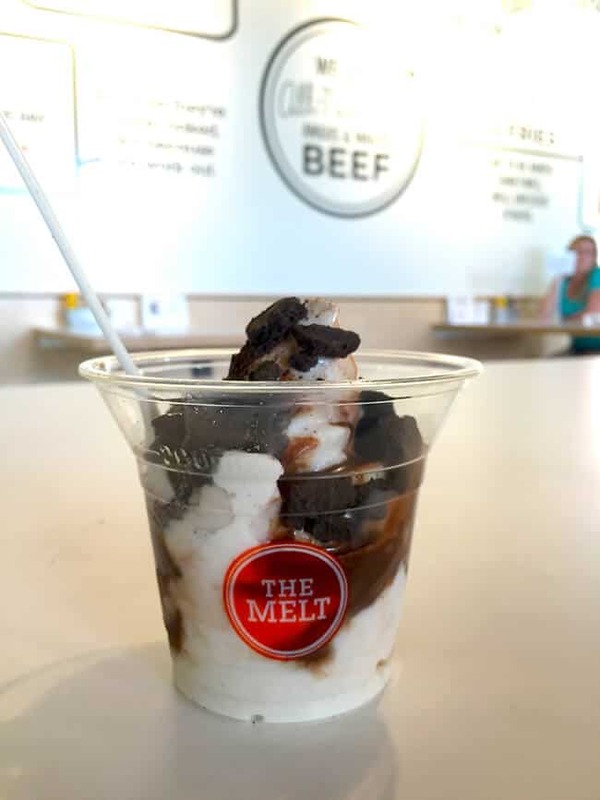 The Melt offers soft serve ice cream, ice cream sundaes, fresh baked cookies, and rooter floats. 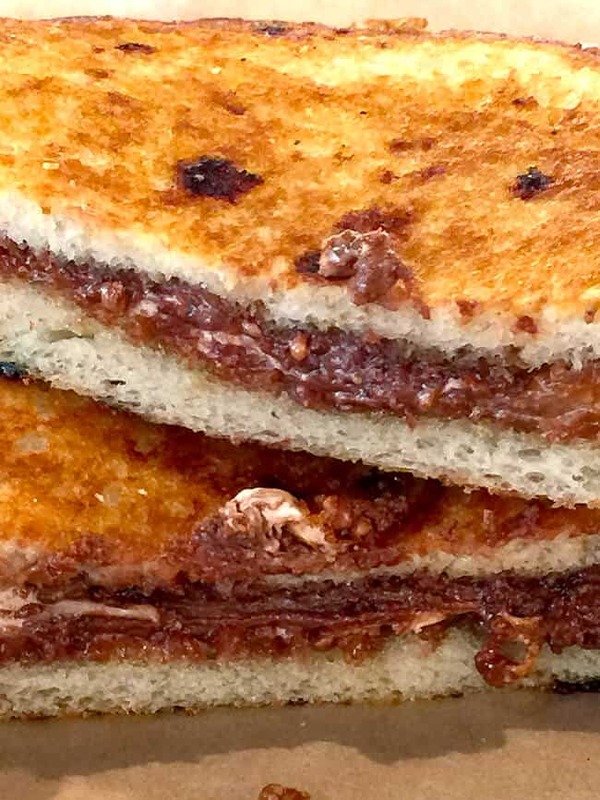 or how about a nutella and marshmallow more grilled cheese…without the cheese! its super yummy of course. 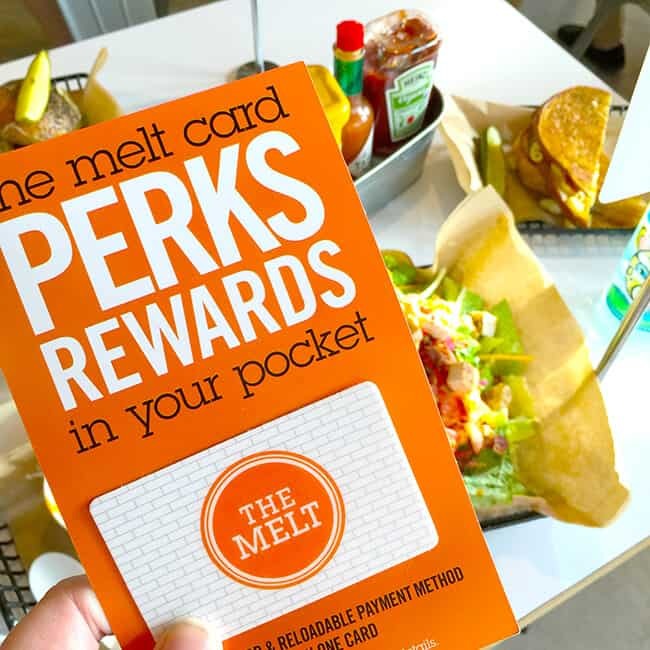 don’t forget to grab a The Melt Card when you order. 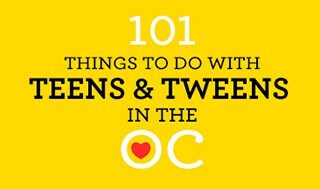 with it, you will get perk rewards overtime you visit….which will most likely be often once you see how yummy everything is. 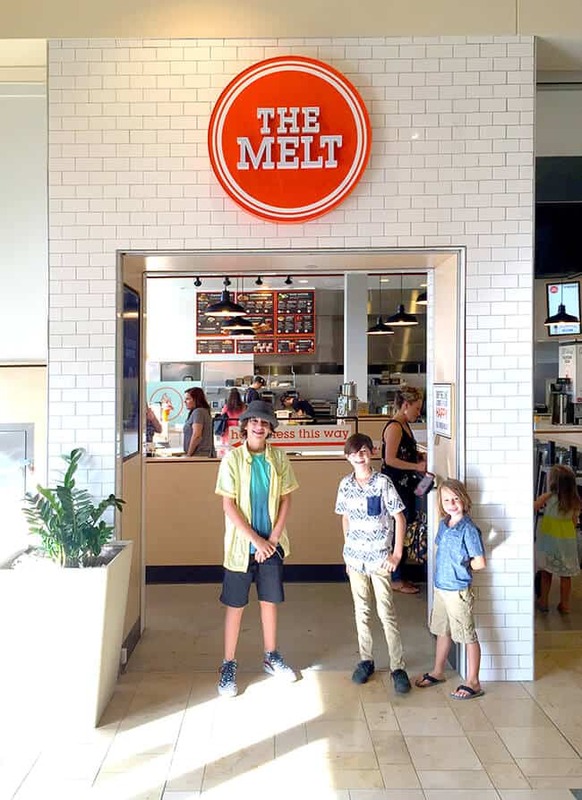 the boys and i really love The Melt. i know we will be visiting again and again. the food was so yummy and made with ingredients i as a parent approve of. 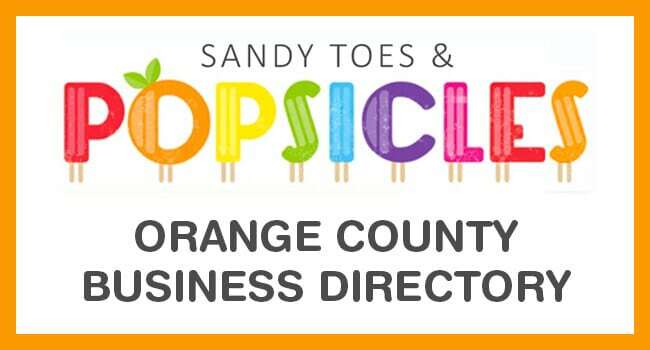 i am so excited that they have made their way to Orange County and i look forward to more locations coming soon! 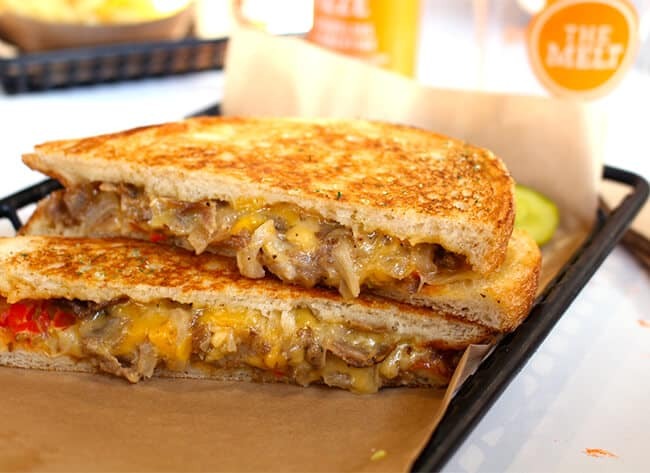 Head over to our Facebook Page to enter to win a $25 The Melt Gift Card!!!!! 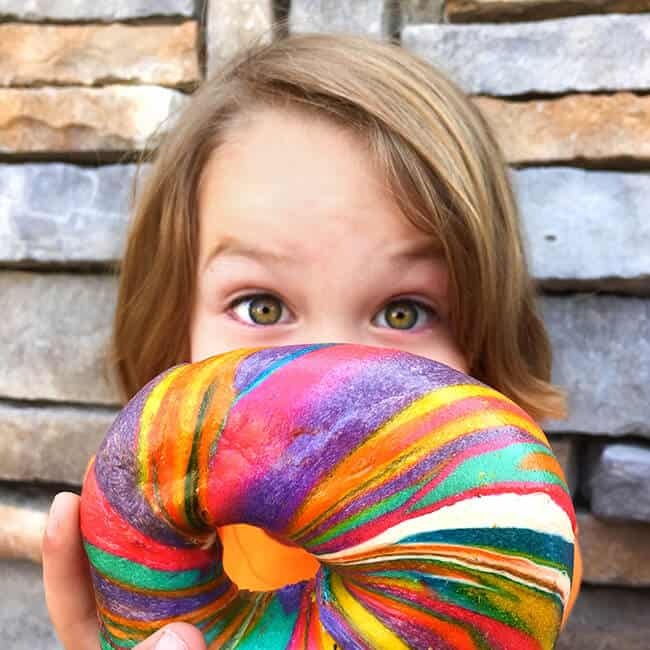 when you love rainbow things as much as i do, and you find out they are selling amazing rainbow bagels at a bagel store in Orange County….you have to go check them out. 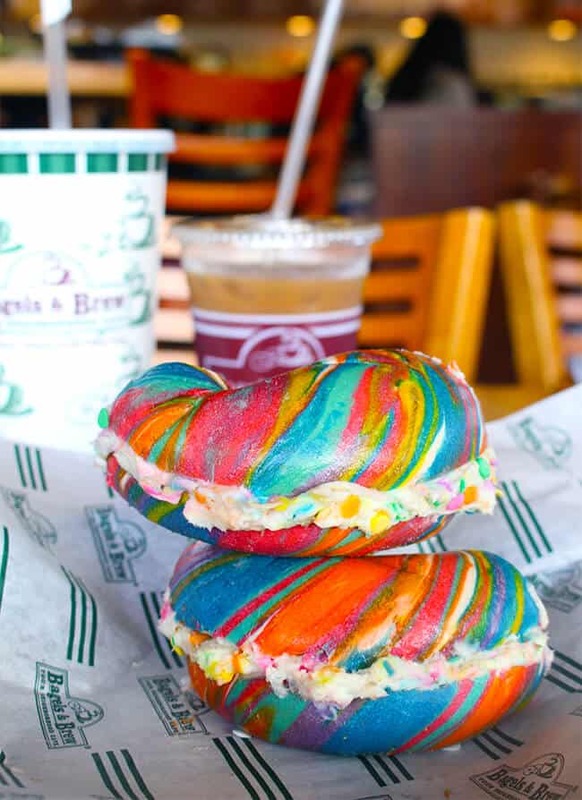 Bagels & Brew just started selling Unicorn Bagels and i am over the moon. 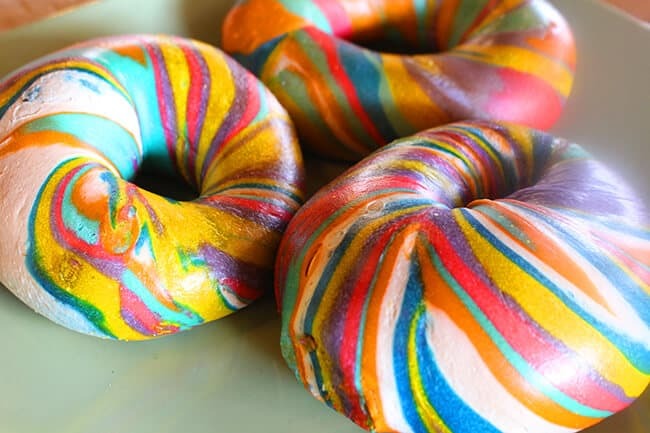 i spotted beautiful colored bagels like these ones in the photos of New York foodies on Insagram. 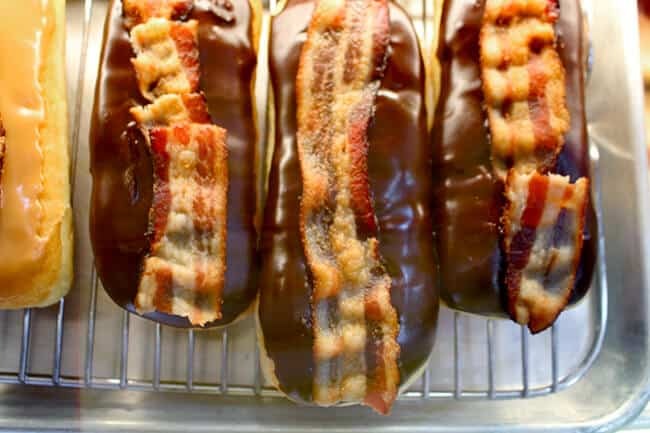 i’d planned that next time i was in New York, i was going to get one. but when i found out that i could now get them near home i was pretty excited. 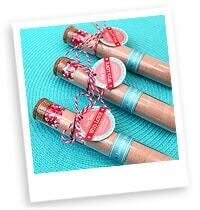 the boys and i just had to try them out! 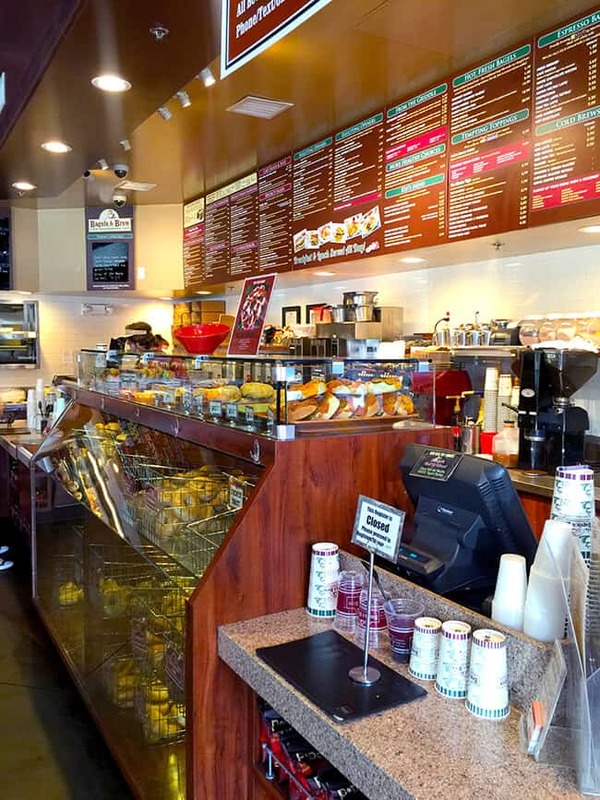 Bagels & Brew has three locations in Orange County – Aliso Viejo, Lake Forest and Mission Viejo. 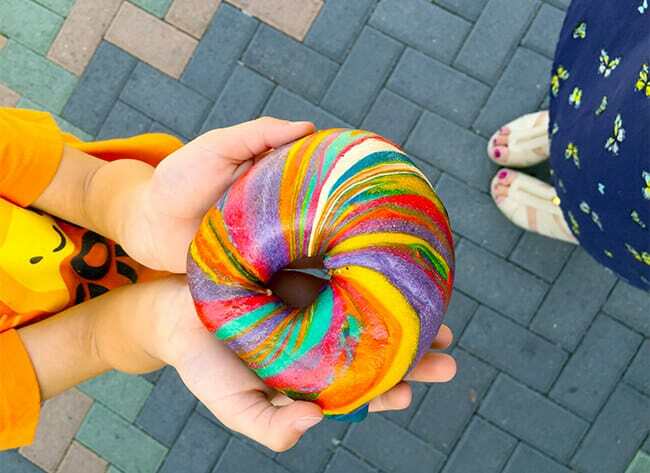 so if you have a Unicorn Bagel craving, there are a few to choose from. 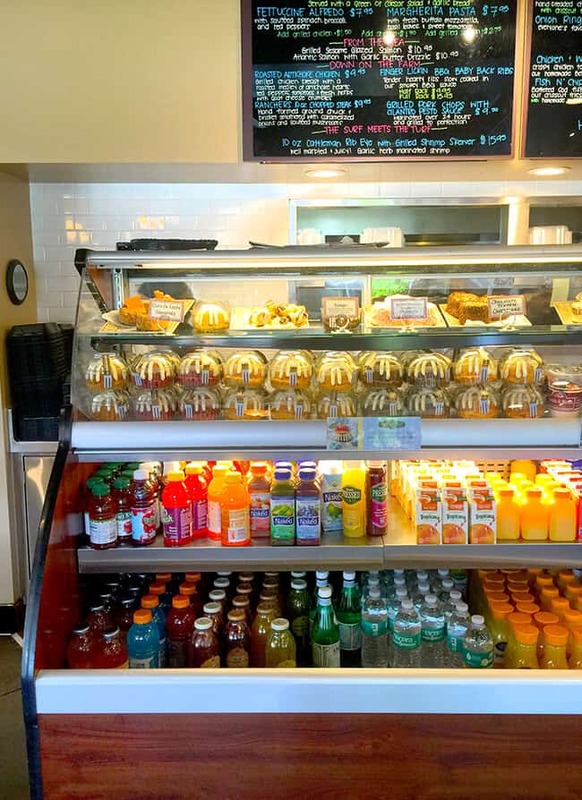 they are the neighborhood bagel and coffee spot, and sell not only bagels and coffee, but drinks, treats, cakes, smoothies, burgers, sandwiches, breakfast and more. 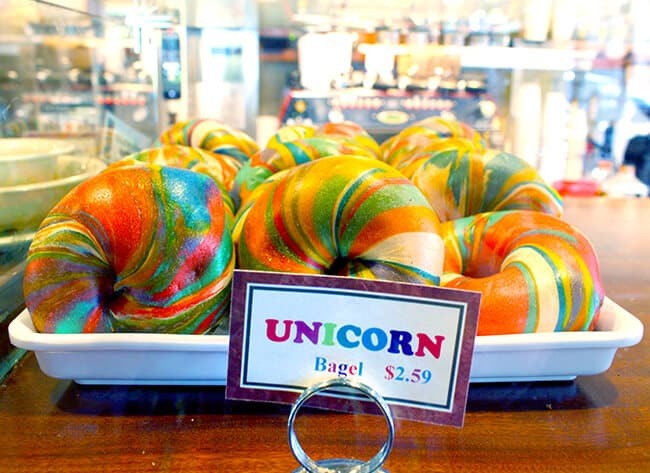 but the Unicorn Bagels and the most colorful item on the menu. and they didn’t disappoint. surprisingly, they taste just like a plain bagel. 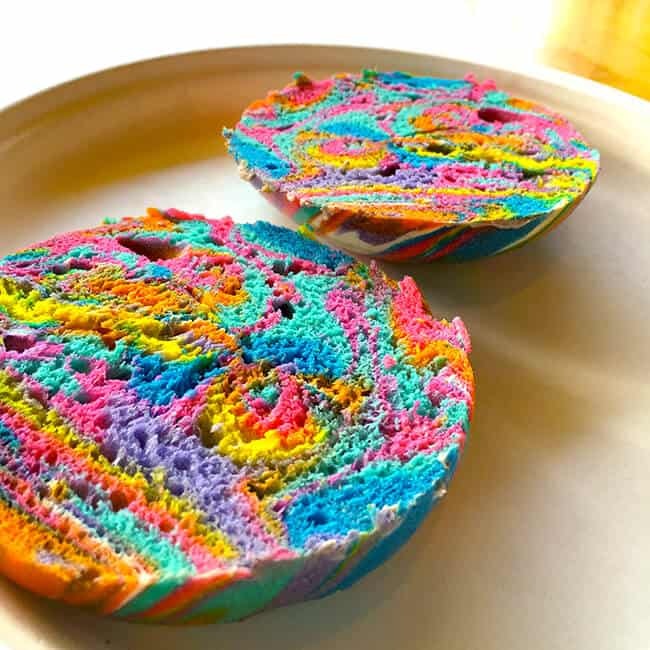 which is how we love our bagels. 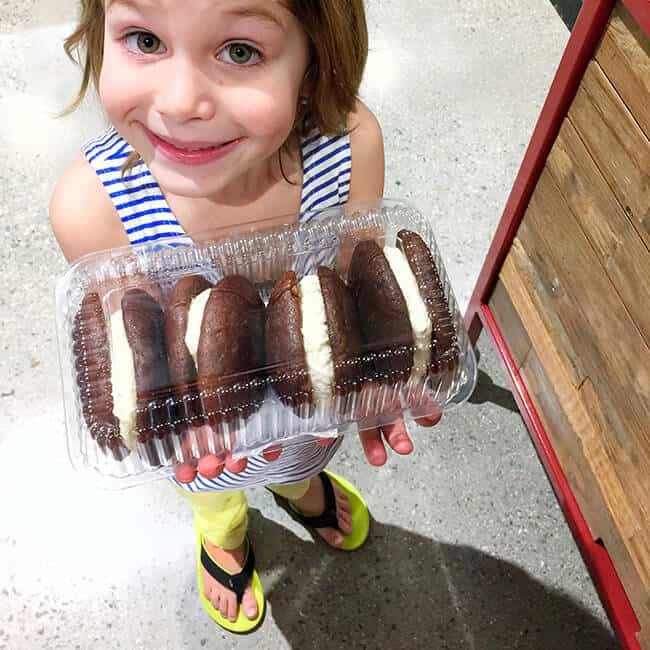 they are just as colorful on the inside and the outside, and you can top them off with any kind of cream cheese you would like. 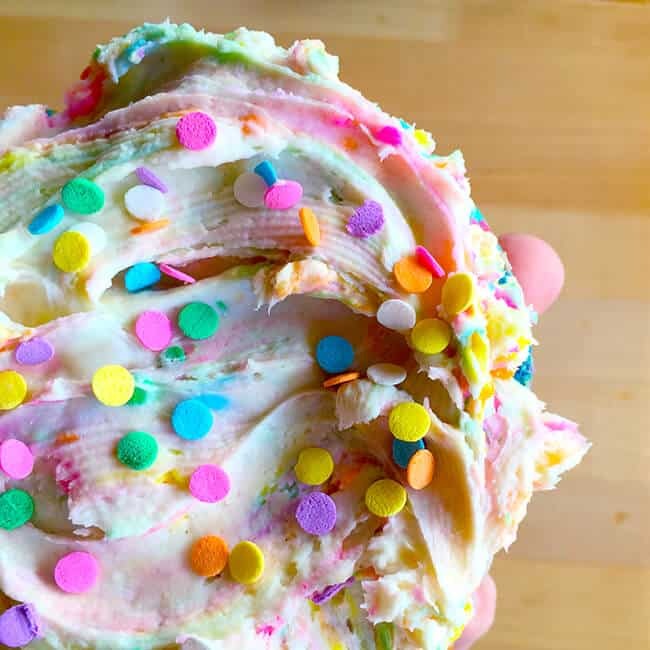 they boys chose birthday cake cream cheese with rainbow confetti sprinkles, with made our Unicorn bagels taste like dessert. 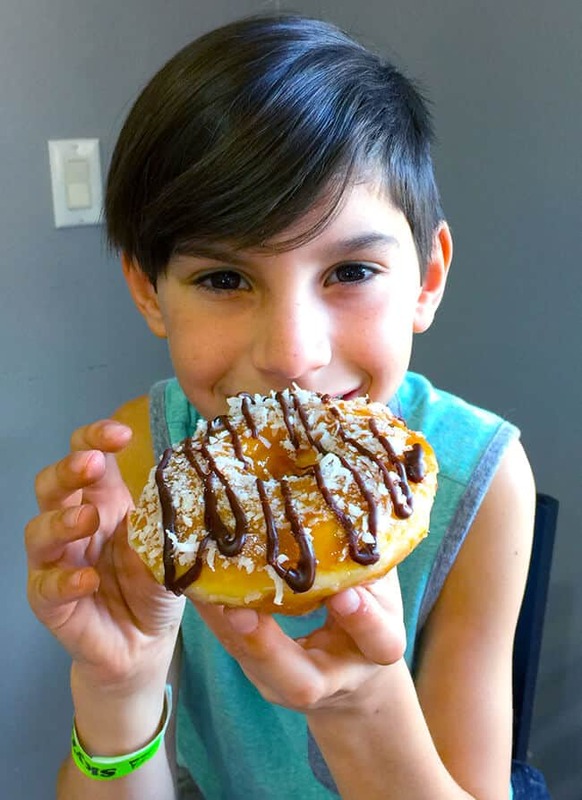 and while were were there, we decided to try out some of Bagels & Brew’s newest creations. 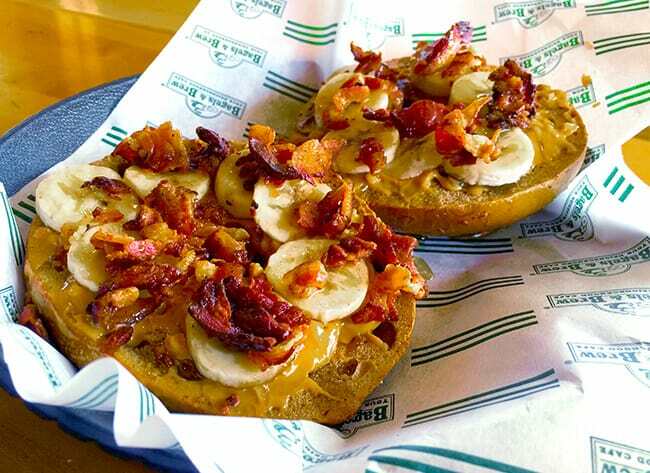 Pizza Bagels with mini pepperoni and the Elvis Bagel with peanut butter, bananas and bacon!!!!! 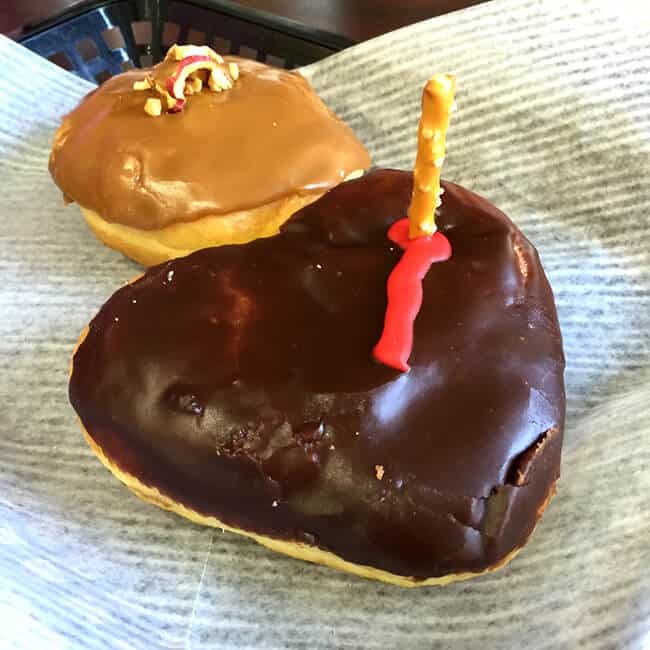 they also just created some new sweet cream cheese smeers including Birthday Cake, Oreo, Cookie Butter, S’mores, Chocolate Peanut Butter Pretzel and Toffee Caramel Crunch. yum yum yum! 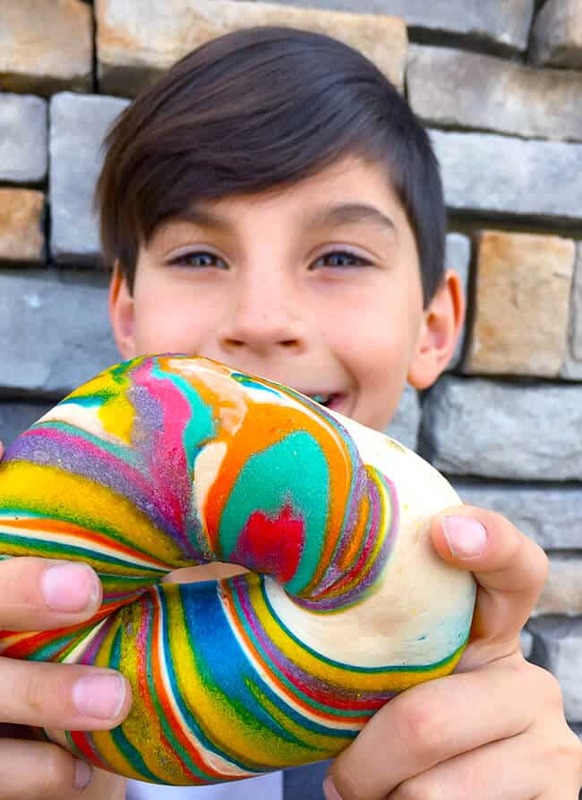 the boys and i are always looking for fun treats to try around Orange County, and these magical Unicorn Bagels didn’t disappoint. 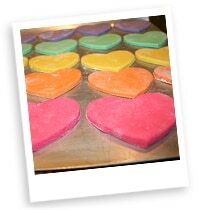 the bright rainbow colors leave a smile on your face! 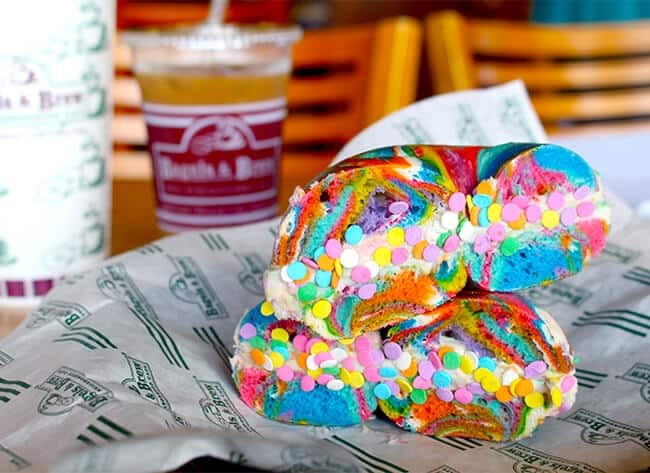 be sure to get you rainbow Unicorn Bagel when you are in the area! 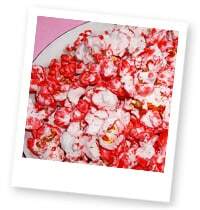 i recommend with plain cream cheese. 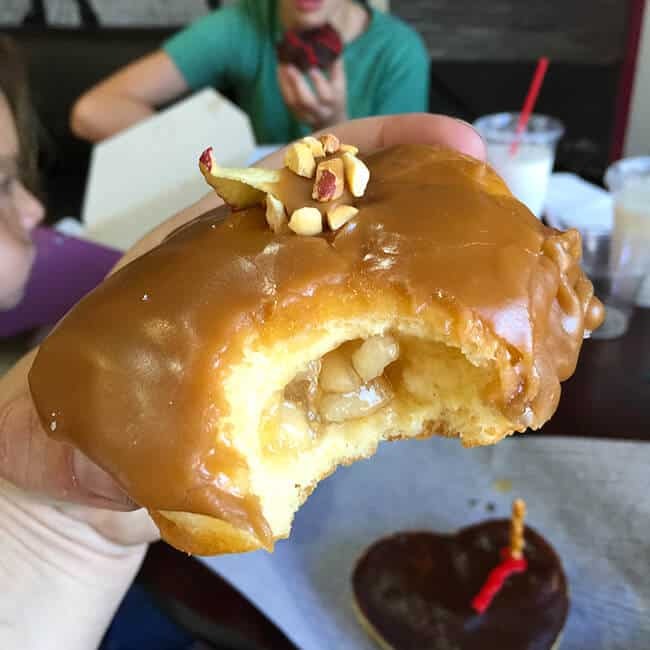 a couple of weeks ago, i asked my Facebook page followers some suggestions of the best places to get sweets, treats and donuts in Orange County. 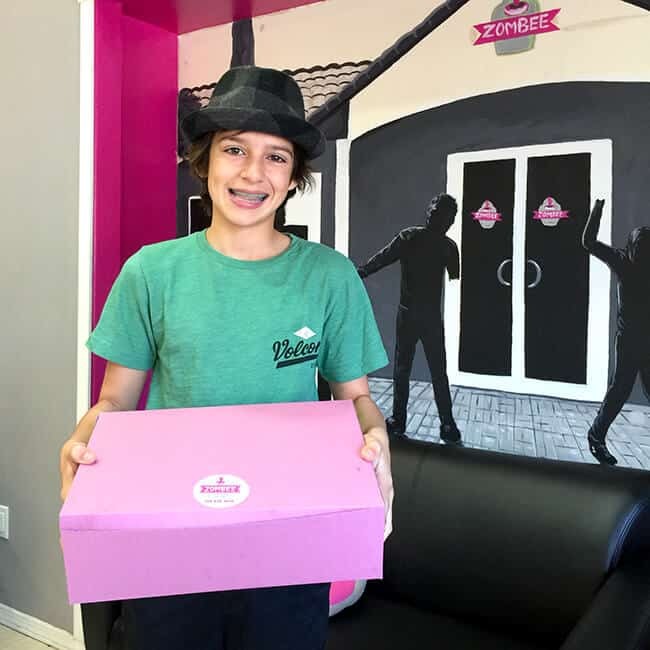 everyone answered with lots of yummy places to try out, and i decided that i was going to do my best to get to all the places that were suggested. 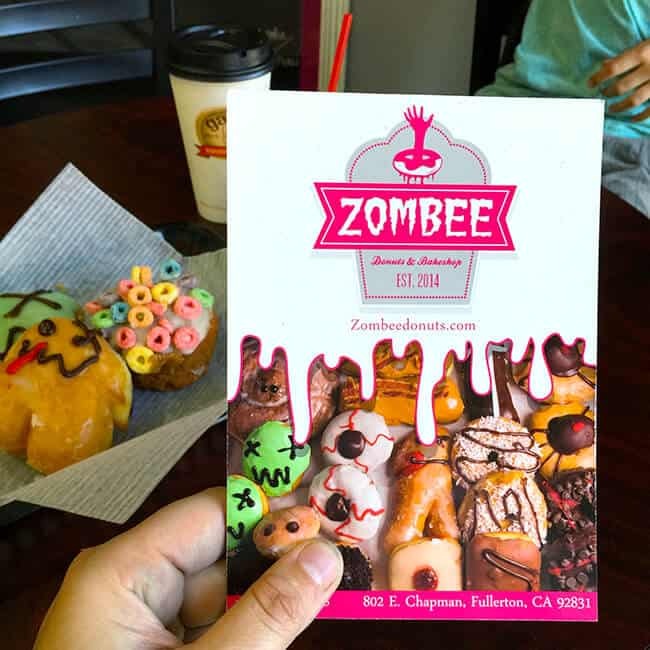 well….last saturday, the boys and i wanted to get some donuts and thought that we ought to try out Zombee Donuts & Bakeshop in Fullerton. 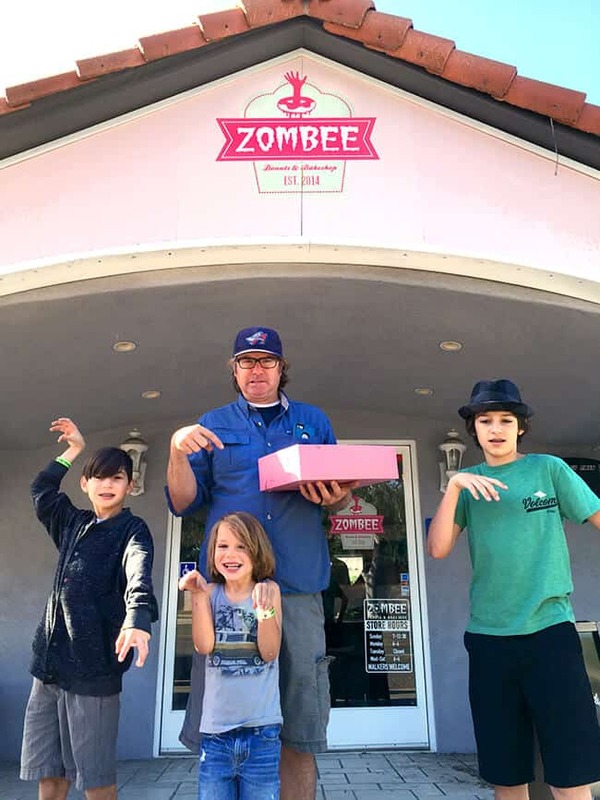 it was on the list, and my boys are big zombie fans, so it seemed like a place we would enjoy. 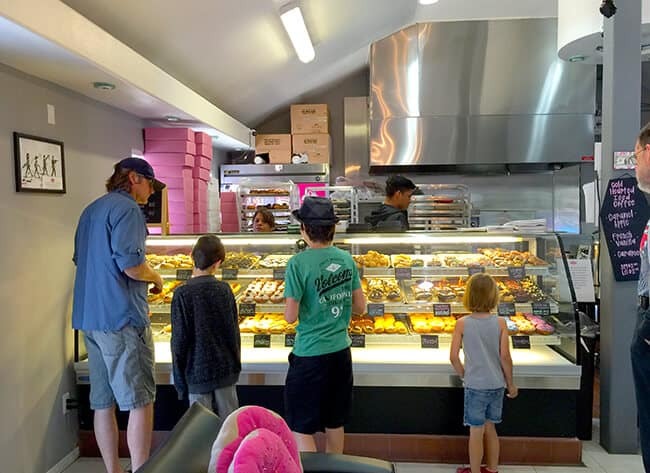 we went early because donut store are notorious for selling out the best donuts early on in the day, and i am glad we did because not soon after we had gotten our donuts, the line grew to the outside. 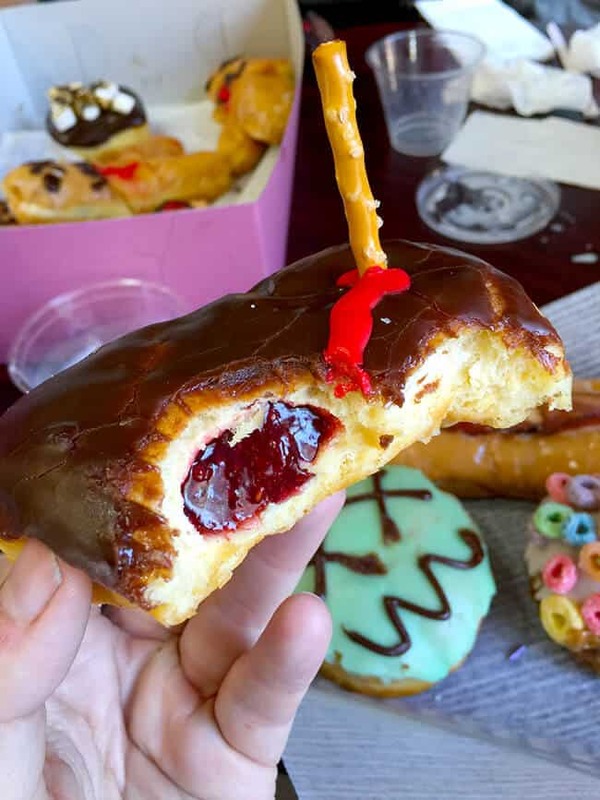 Zombee Donuts & Bakeshop is so fun. 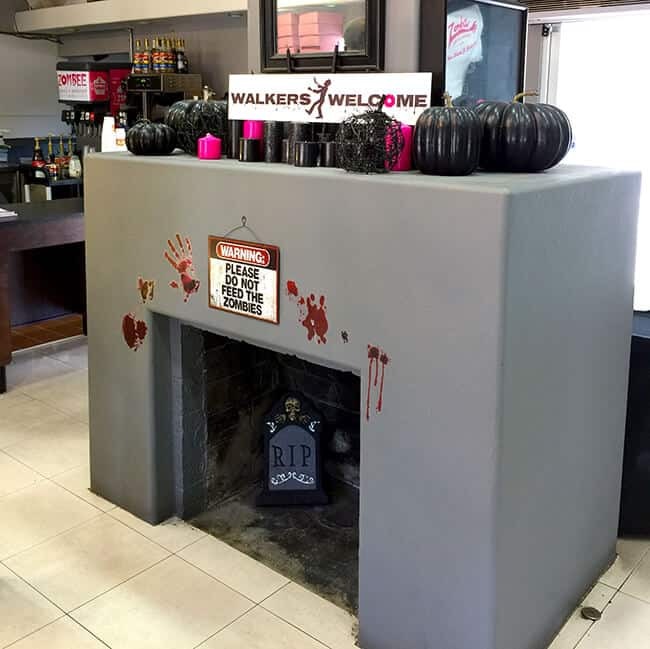 of course it is zombie themed, and and there is zombie decor throughout the store. apparently they want you to kill some time with them, so it is fun to take the time and eat in the store. 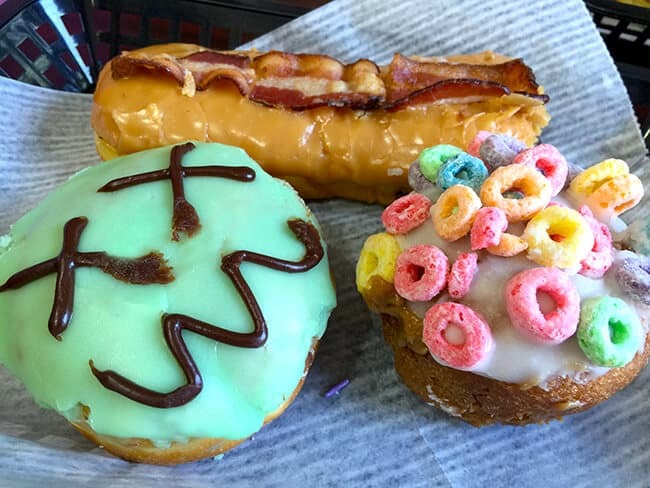 besides the donuts….which i will get town a moment, there is also zombie and donut themed merchandise for purchase. 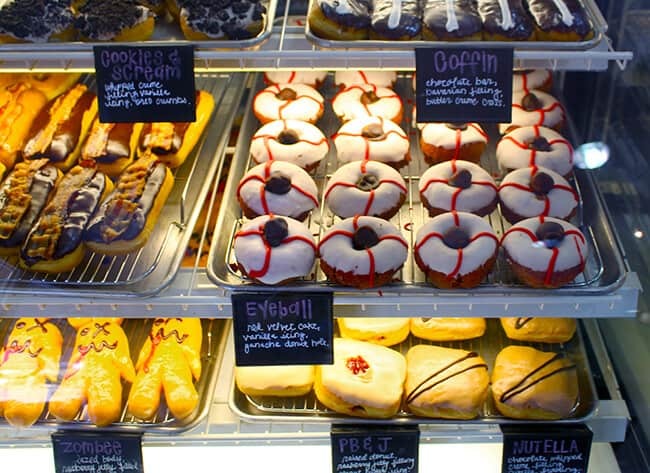 there are also tables and couches to enjoy your donuts and/or coffee on. 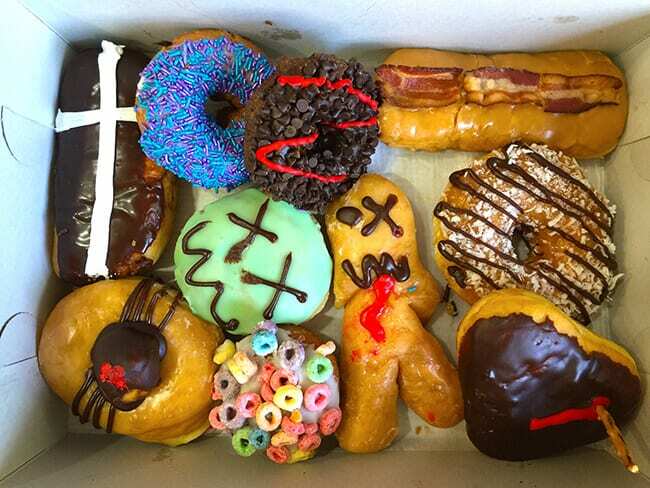 now for the donuts! they are what makes this place really fun. 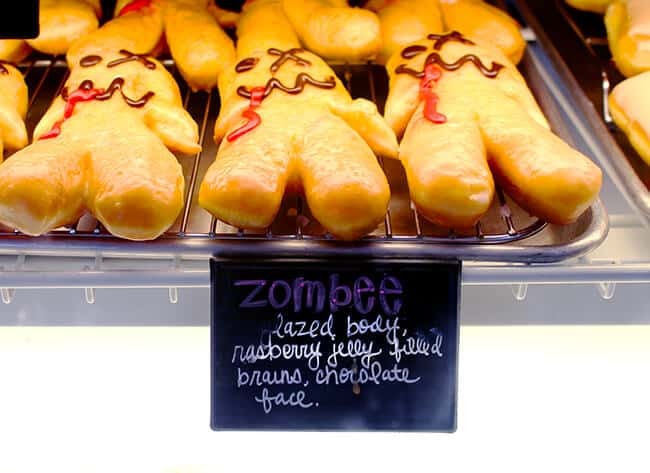 they are all zombie themed with fun names that remind you of the walking dead. 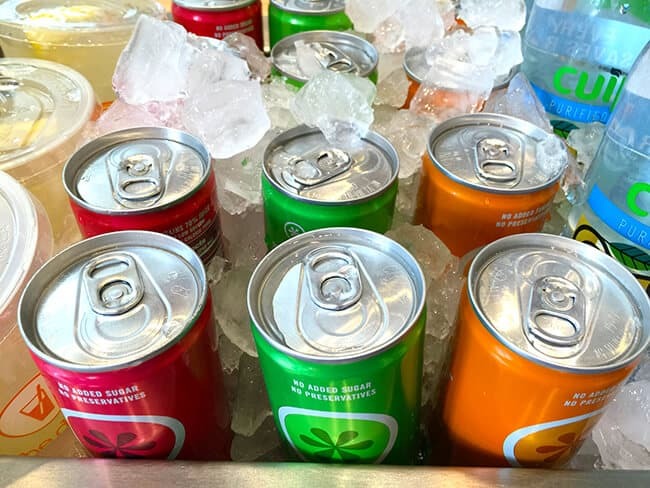 i am not sure if they change the flavors daily, as we have only been once, but i have a feeling they have their standard themed flavors. 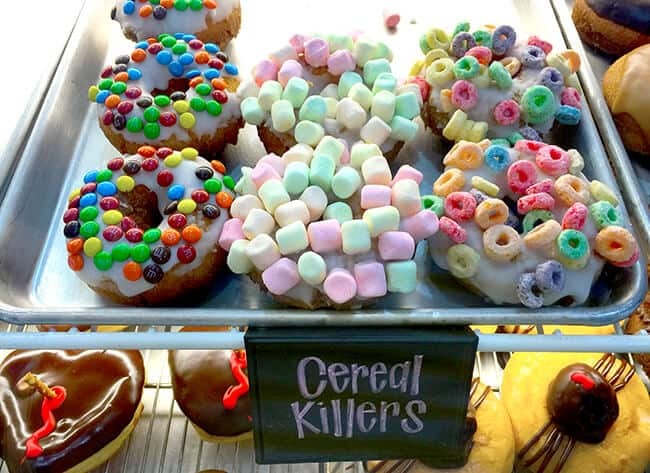 now check these donuts out….Cereal Killers LOL….Death by Chocolate…..Eyeballs….there are so many fun zombie flavors. 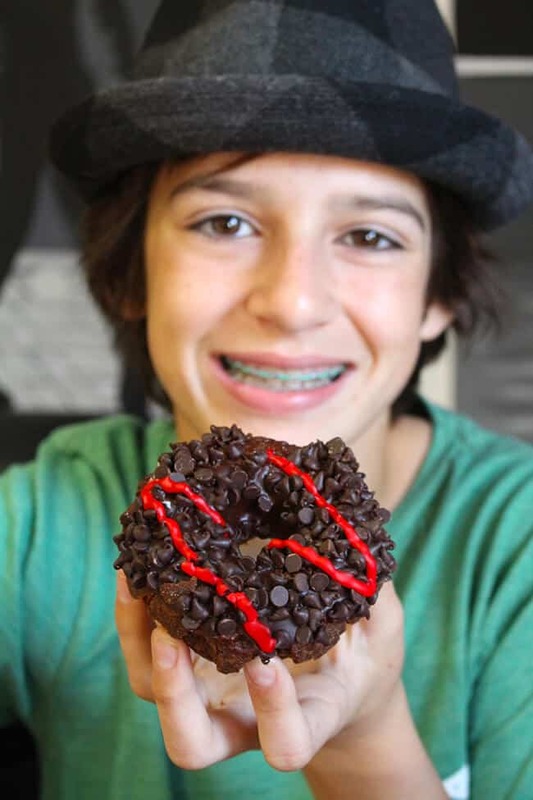 the Zombee donut is their signature donut with a glazed body, raspberry jelly filled brains and a chocolate face. 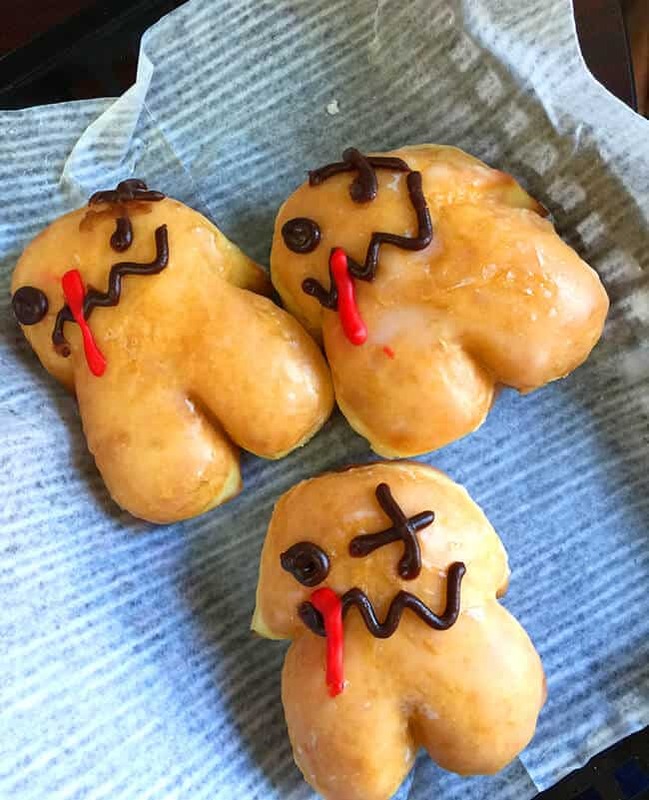 they are almost too cute to eat. 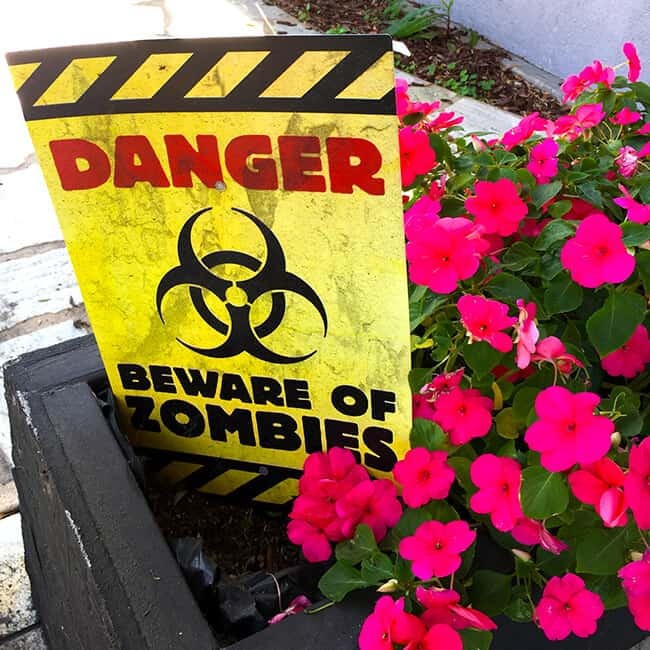 and how adorable are these Zombee babies!!!! 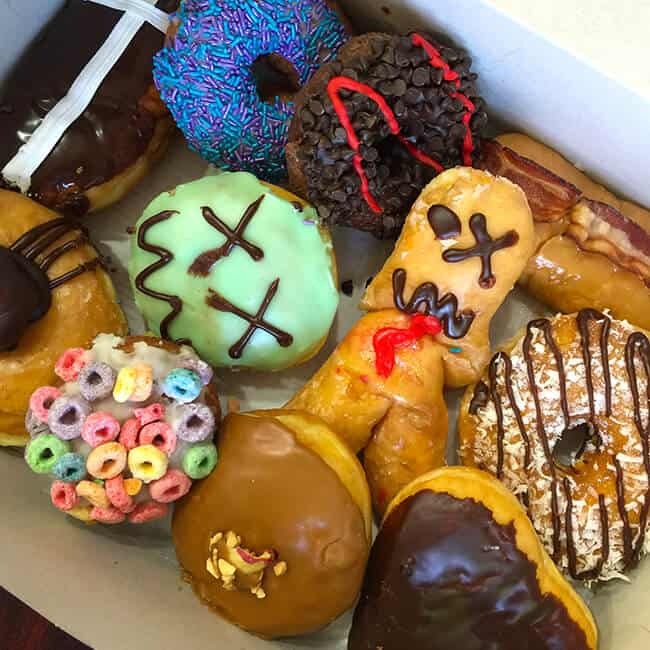 we couldn’t resist buying a dozen of the zombie donuts…are they so fun! 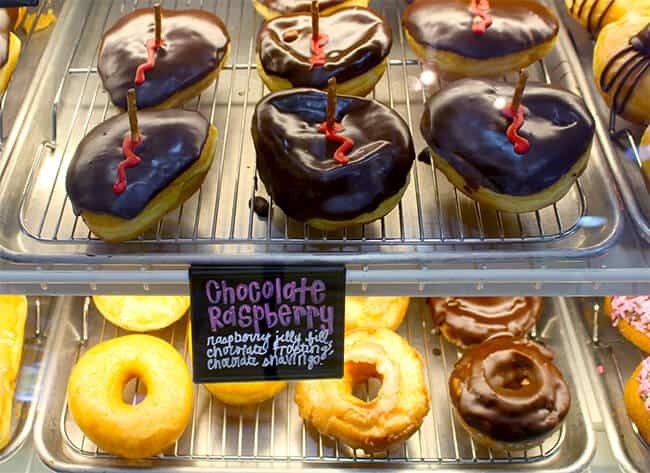 the donuts of course were very yummy…better than the average donut store in my opinion. and overall, i feel the experience made it even better. 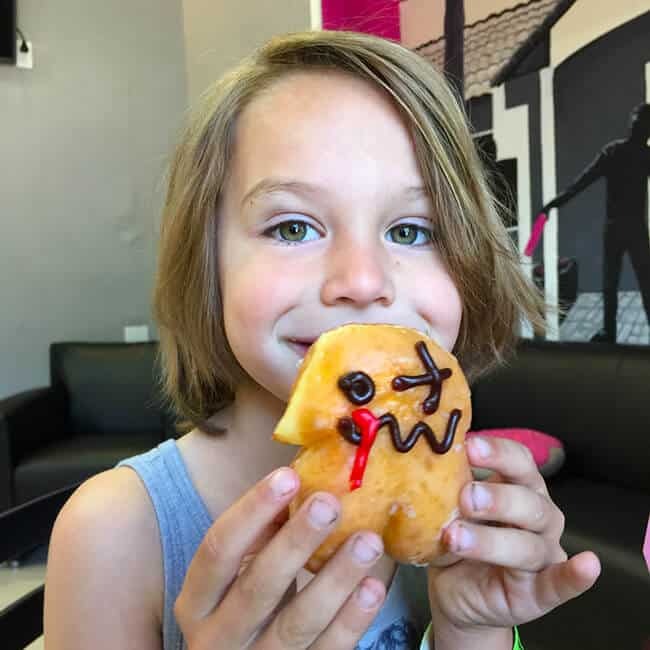 fun family time, exploring new places and oohing and aahing over the fun zombie donuts. 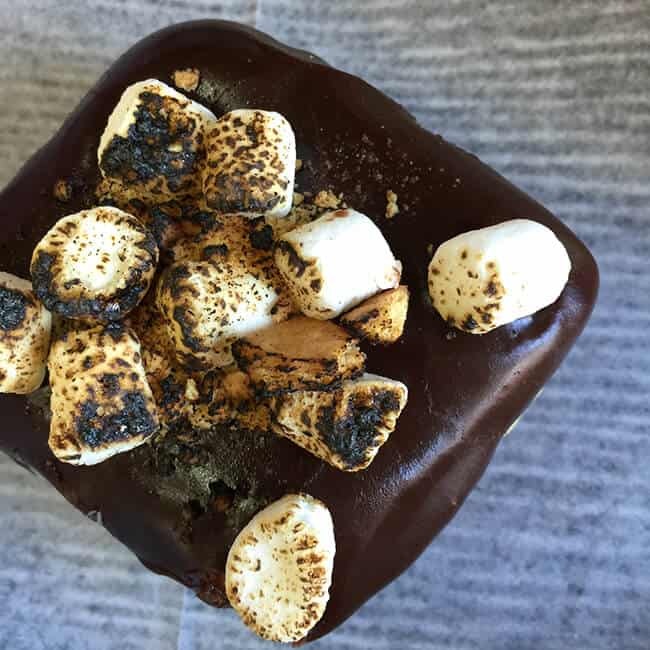 check out these amazing creations…..
my boys loved the Campfire Smore donut and the Death by Chocolate donut, and my personal favorites were the chocolate raspberry donut…the raspberry filling was “to die or”, and the caramel apple donut really tasted like a caramel apple. 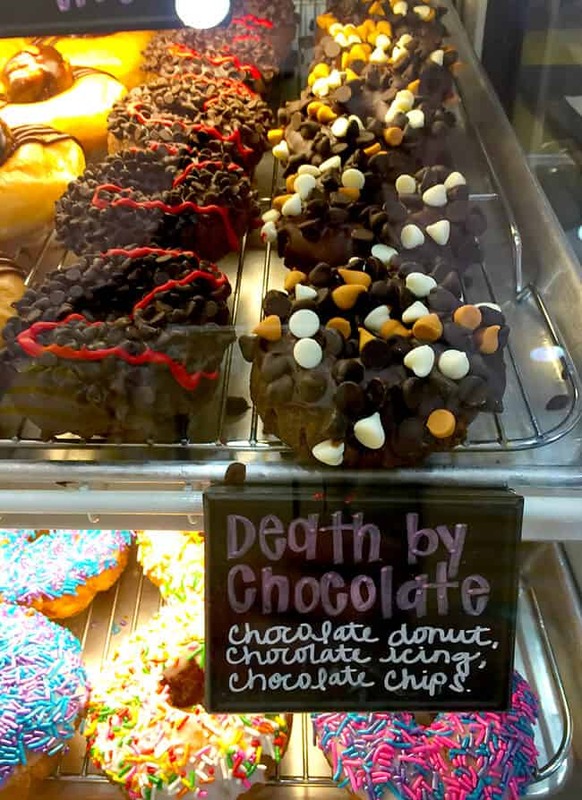 my hubby loved the coffin donut, which was a chocolate bar filled with bavarian cream. my little guy thought the mini zombies were the cutest. i agree. YUM YUM YUM. 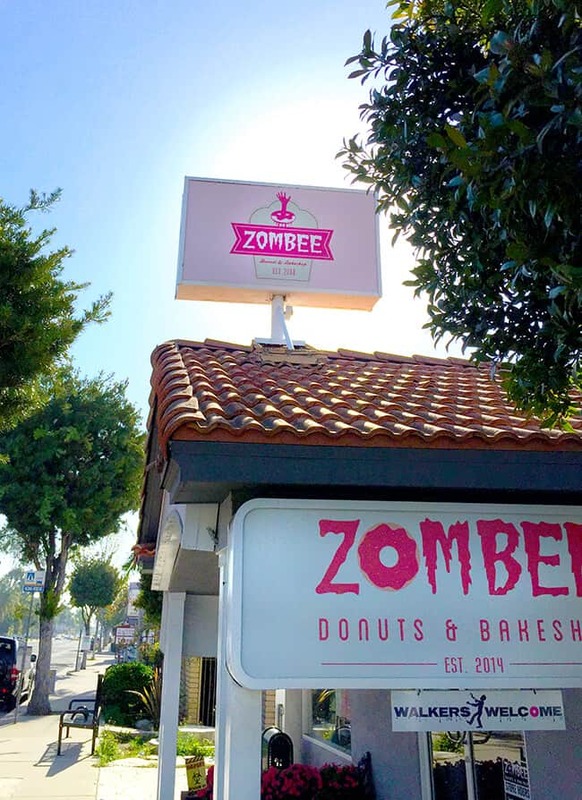 and that was are outing to Zombee Donuts & Bakeshop. it was a fun way to start off our saturday and weekend. 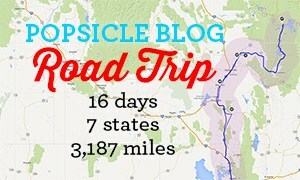 we definitely will be going back…it was a “killer” of a morning. 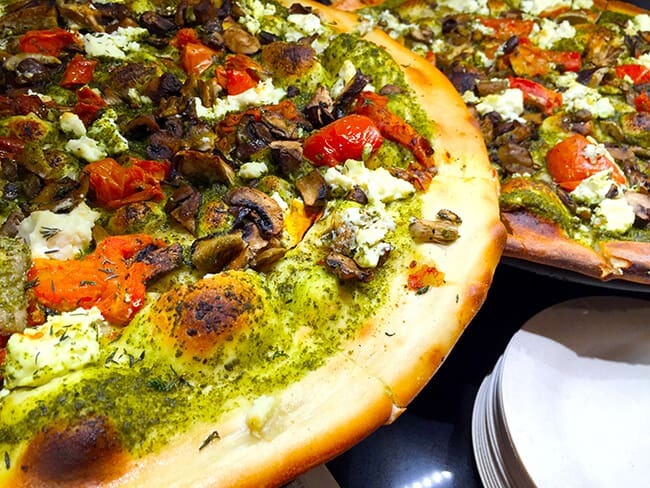 for us, weekends are a celebration of food. 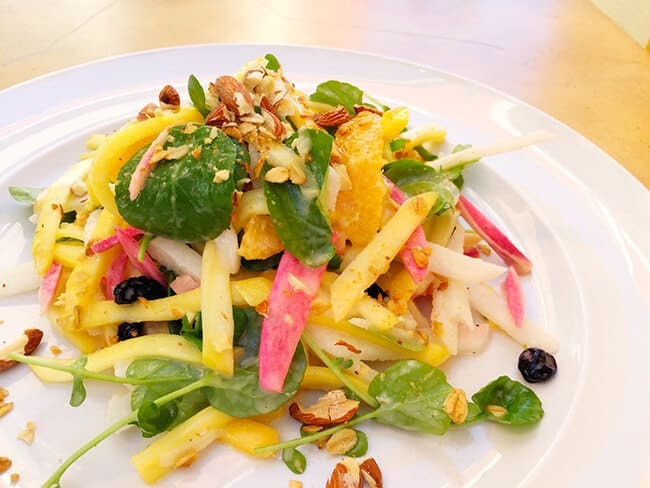 while we most often go out to lunch or dinner, it is always a treat to be able to change it up and go out for brunch. for me, brunch is the perfect meal. 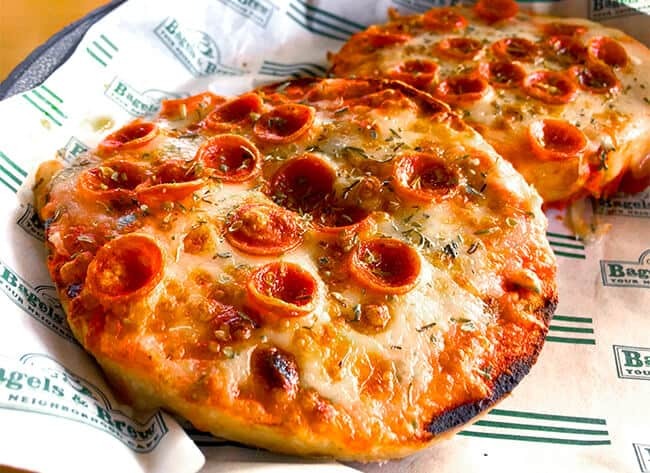 you still get the sweet and yummy of breakfast with a helping of savory lunch. 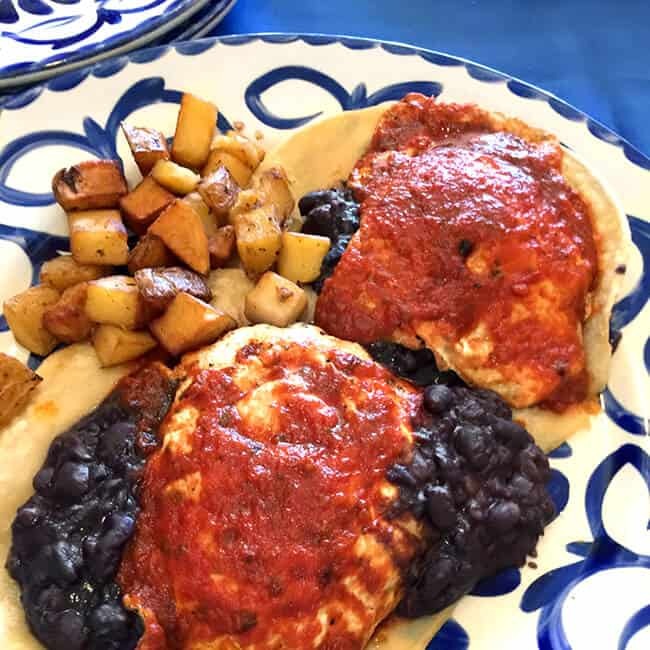 a couple of weekends ago, the hubby and i had a delicious brunch at Tortilla Jo’s in Downtown Disney in Anaheim. 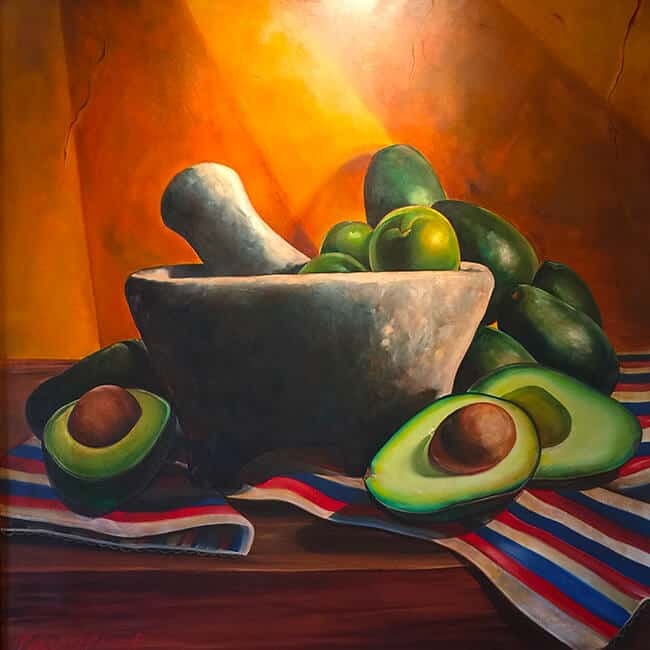 celebrating the culinary heritage of Mexico, Tortilla Jo’s has south-of-the-border Mexican cuisine, tableside guacamole, and refreshing drinks to satisfy anyone. 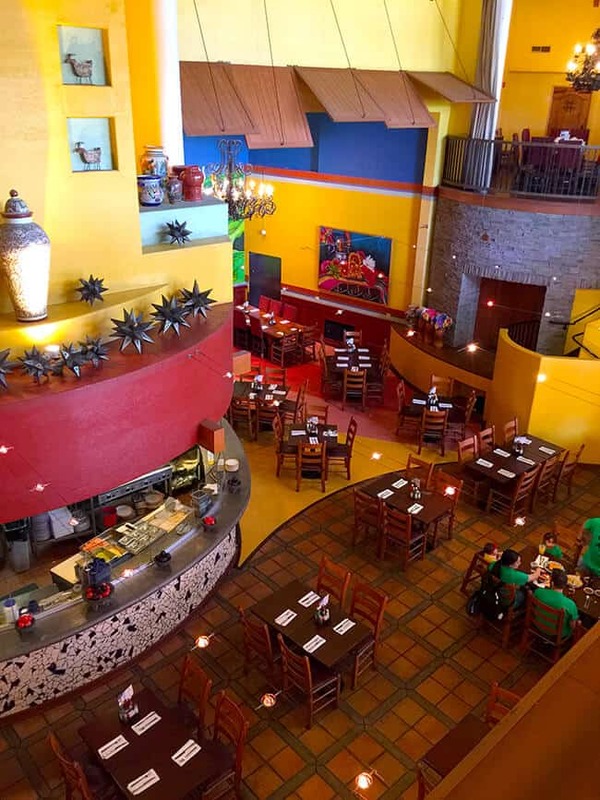 its’ vibrant spirit and modern pueblo atmosphere make dining at Tortilla Jo’s an experience not to be missed for Mexican food lovers. 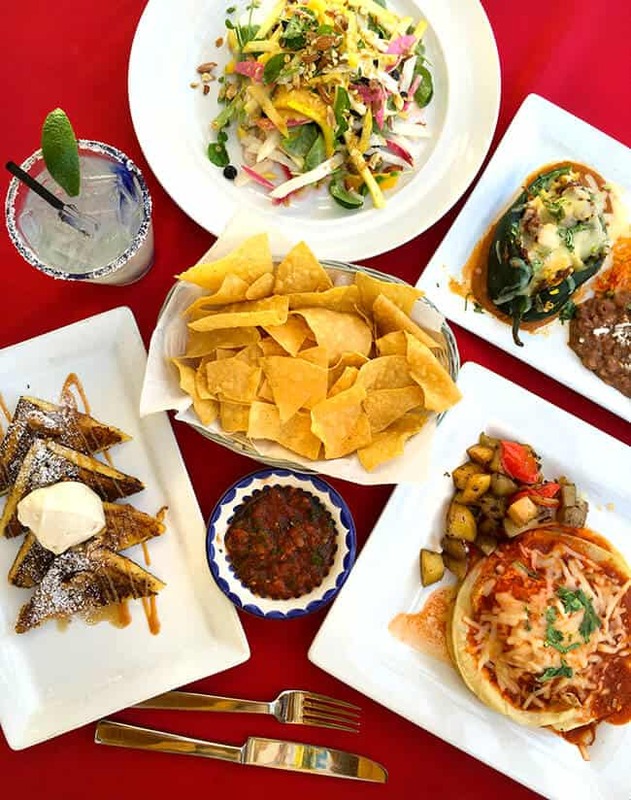 there are many entrees to choice for brunch at Tortilla Jo’s, and don’t forget about the table side guacamole and bottomless mimosas that can be served at you meal. 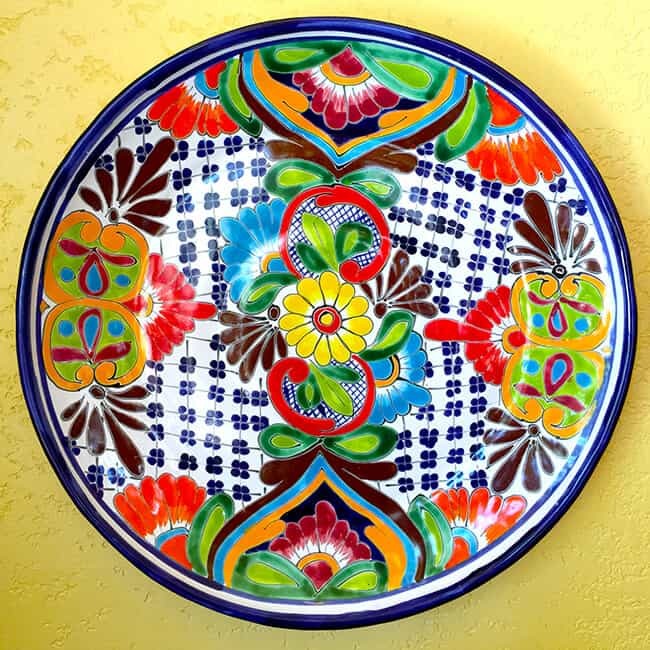 and your table will also be refilled with freshly made tortilla chips and salsa. 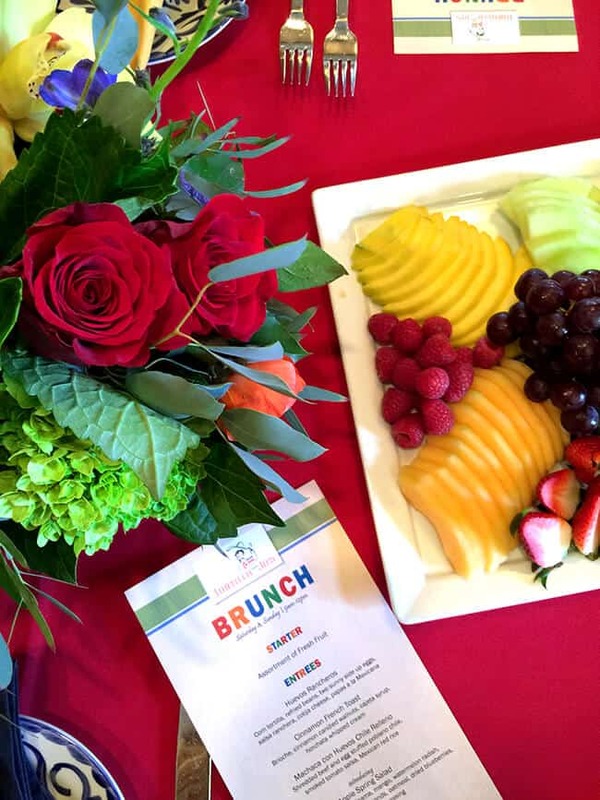 here are a few of the menu items that we enjoyed during our brunch. 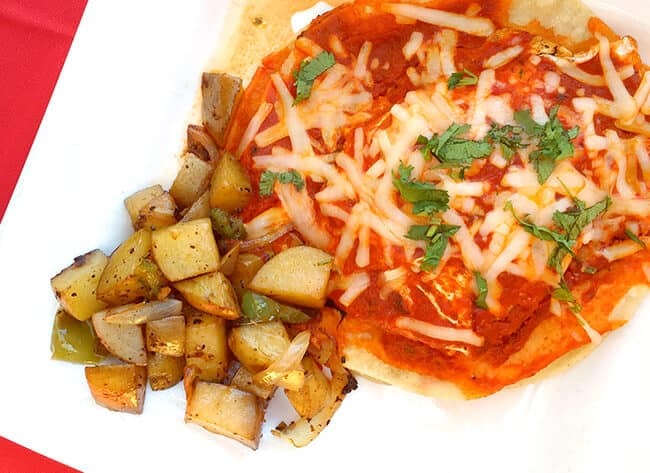 Huevos Rancheros – corn tortilla, refried beans, two sunny side up eggs, salsa ranchera, cotija cheese, served with papas a la Mexicana, Machaca con Huevos Chile Relleno – shredded beef and egg stuffed poblano chile, smoked tomato salsa, served with Mexican rice and refried beans, and ahhhhh! 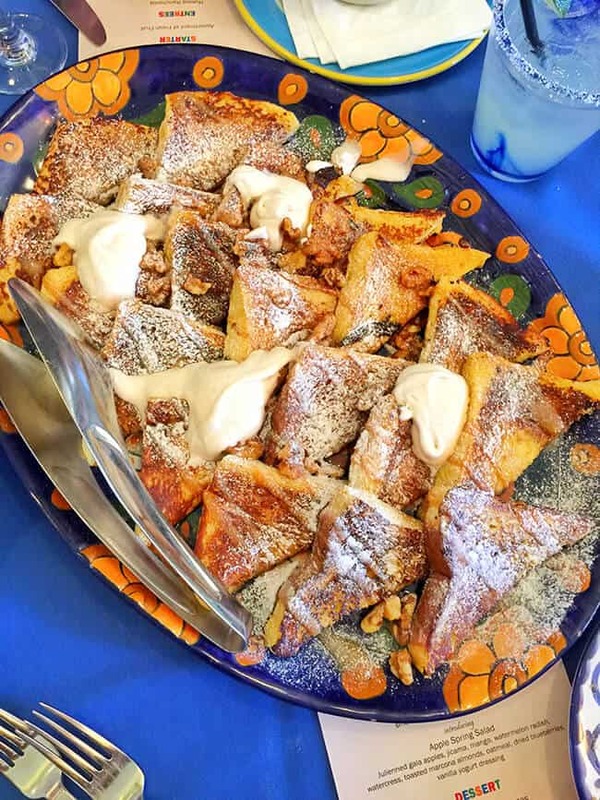 Cinnamon French Toast – brioche, cinnamon, candied walnuts, cajeta syrup, horchata whipped cream. soooooo good! 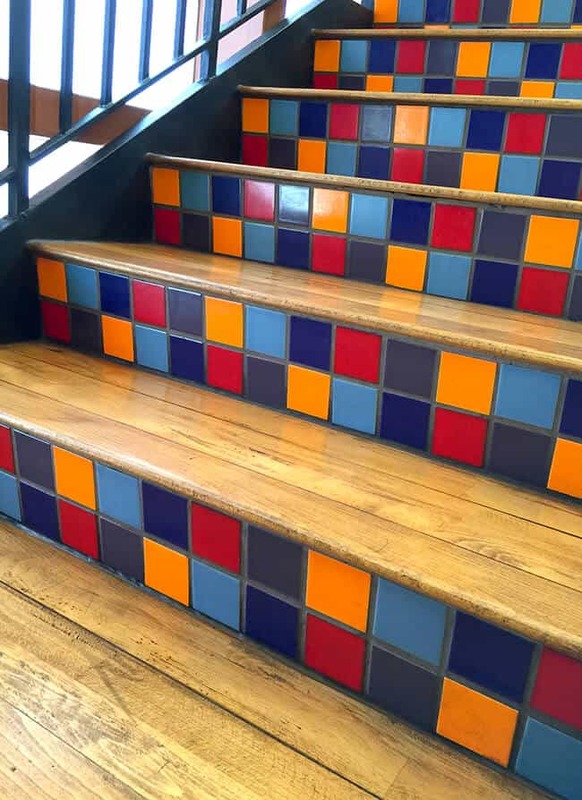 and besides the wonderful food that i had seconds and thirds of, the decor is bright and colorful and just makes you feel happy! 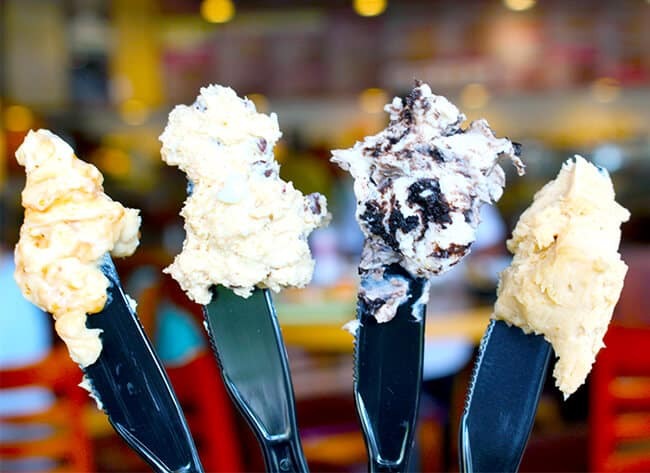 be sure to end your brunch with a sweet dessert. 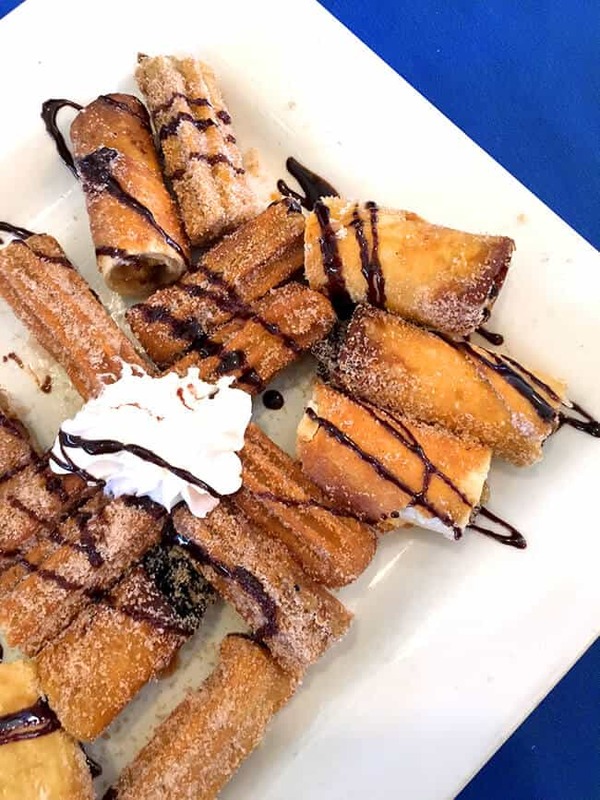 from churros en bolsa to deep fried ice cream to coconut flan to postre de manzana, you didn’t have to ask me twice to have a little dessert to top of my lovely brunch. it’s always fun to find a new restaurant that you can enjoy brunch at. i can’t imagine a better way to spend the morning – good food and good company. 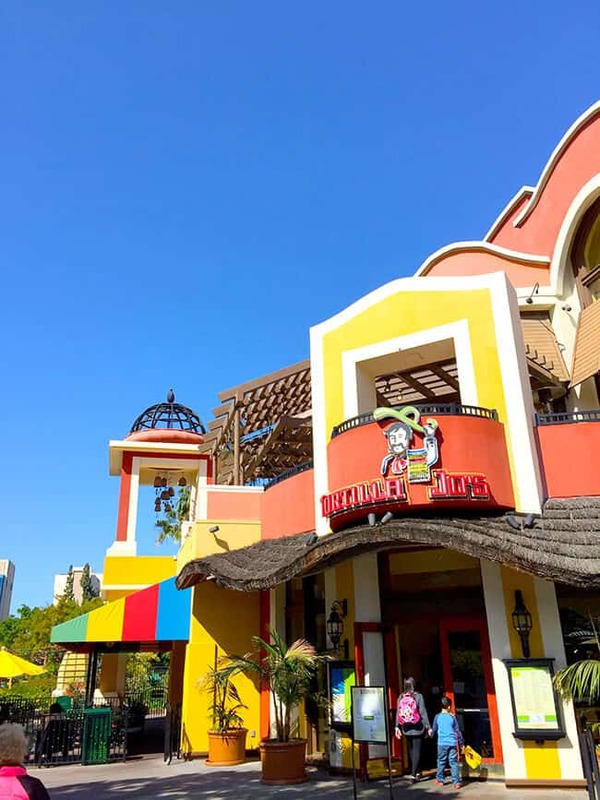 next time you are in Downtown Disney or want to have a south of the border inspired brunch, head over to Tortilla Jo’s. 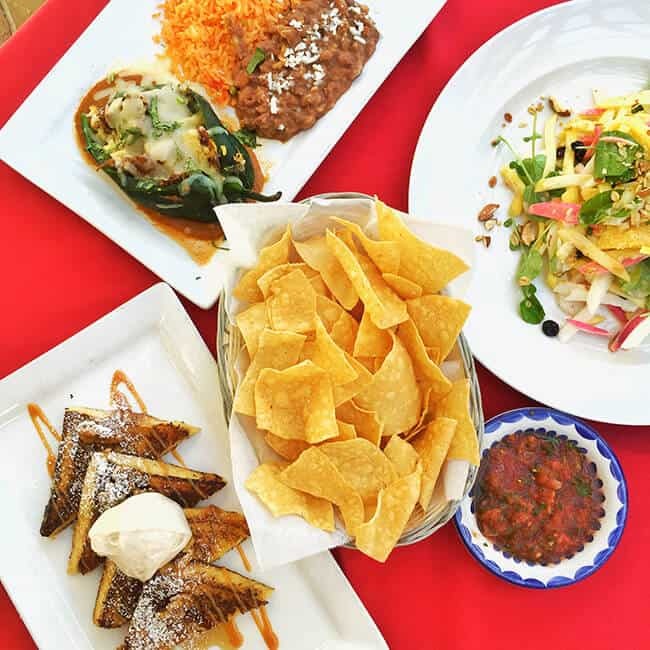 the menu is online, and there are also kids meal options available, as Tortilla Jo’s is definitely family friendly. 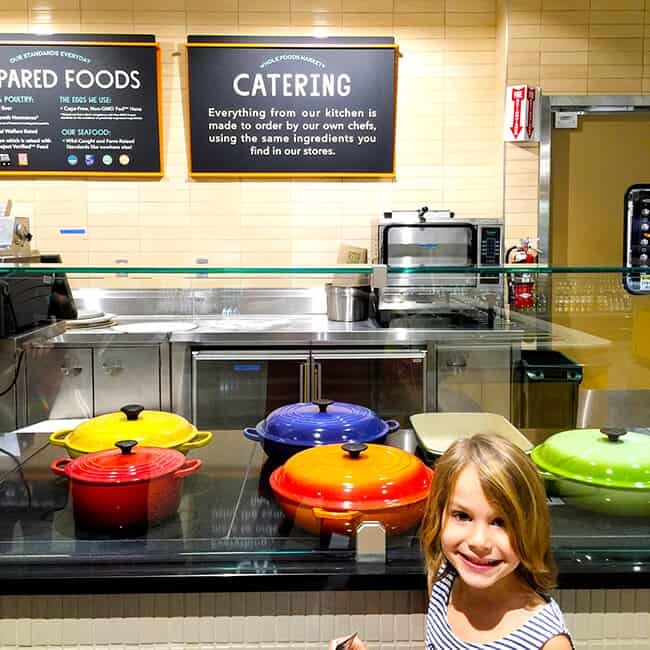 early this week, the boys and i were able to take a tour of the brand new Whole Foods Market in Brea. 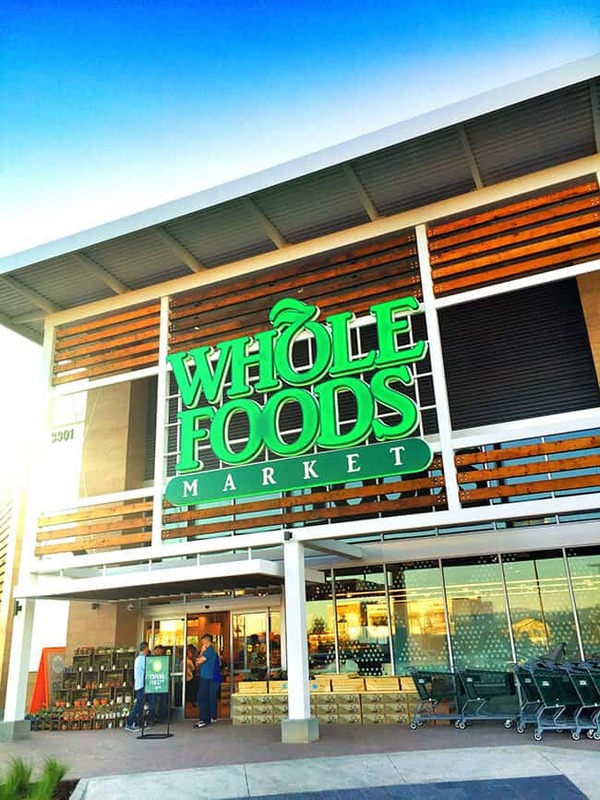 this is very exciting for the people of north Orange County, because it’s the first Whole Foods Market to open up in the north OC. 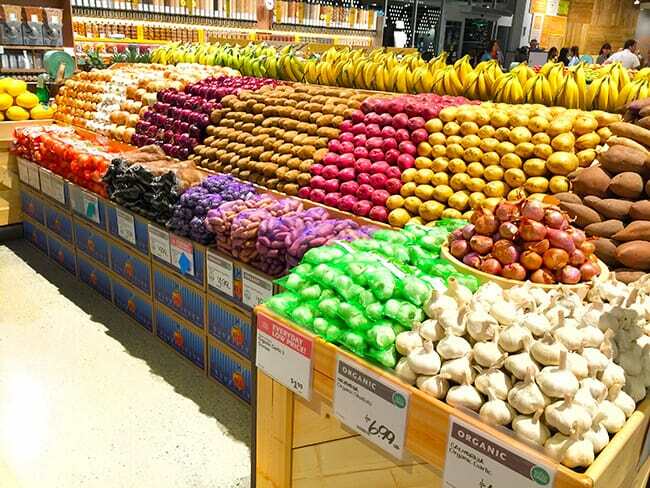 let me tell you, it is beautiful and i am so excited to be able to make shopping Whole Foods Market part of my weekly routine because before, it was quite a drive. 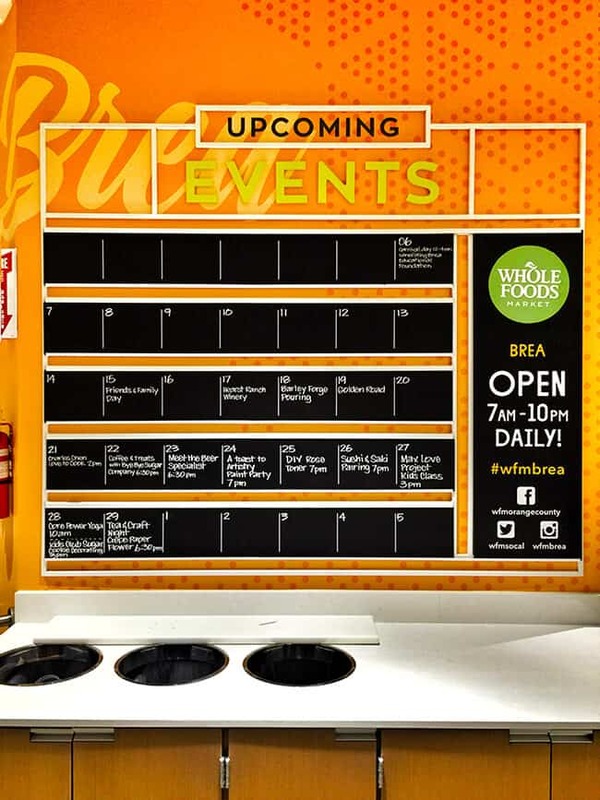 Whole Foods Market in Brea will be offering a new unique shopping experience to its locals such as a self-serve pizza station, a juice and smoothie bar, fresh poke, expanded vegan options in all departments, a coffee bar, a bar-restaurant with local brews, and an upstairs mezzanine area for tastings, a community kitchen, a lounge space that can be rented for events and Kids’ Club that will host events and activities for area families with young children. 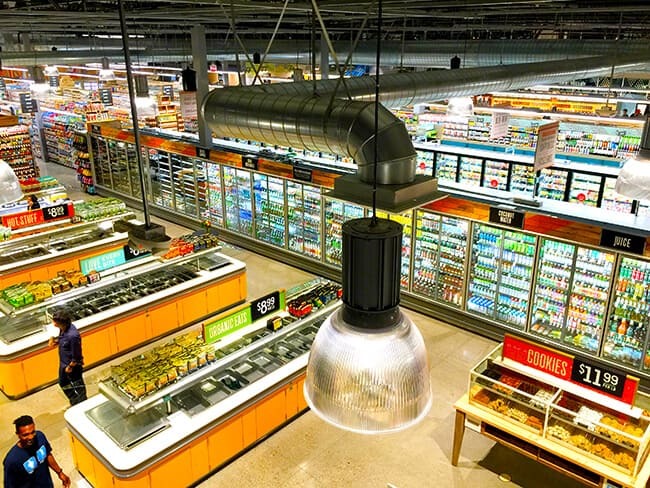 additional amenities include free Wi-Fi available to shoppers in seating areas throughout the store, and an expanded kid-friendly section in the grocery department. 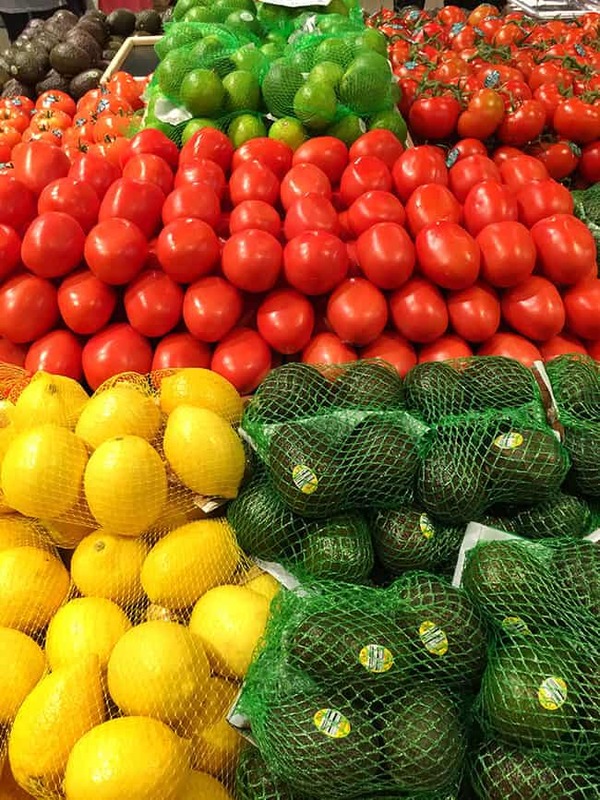 the Market is absolutely beautiful with colors inspired by Wayne Thiebaud paintings. 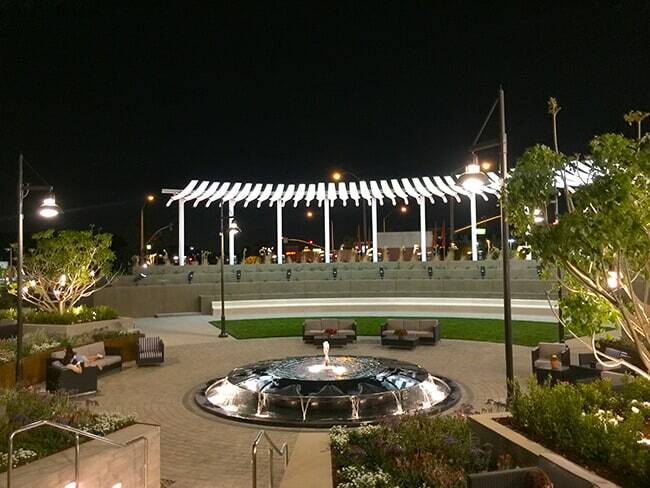 it evokes a mid-century small town nostalgia, with a nod to the decade that Brea more than doubled in size, 1950 to 1960.
there is even a beautiful outdoor space to enjoy and relax in. 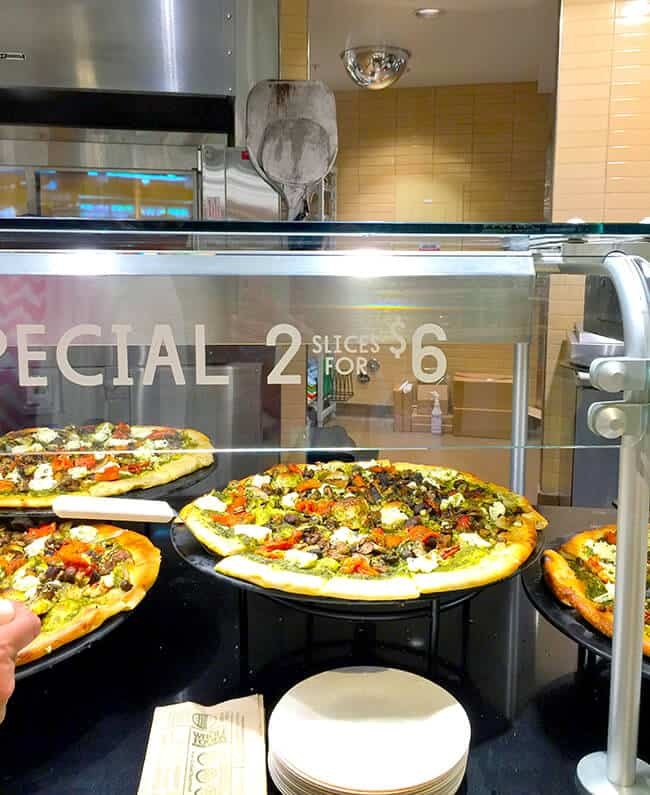 Whole Foods Market chefs prepare food in the in-house kitchen, creating handmade pizza, whole or by the slice, made-to-order sushi, in-house chips, custom-made sandwiches and meals-on-the-go. 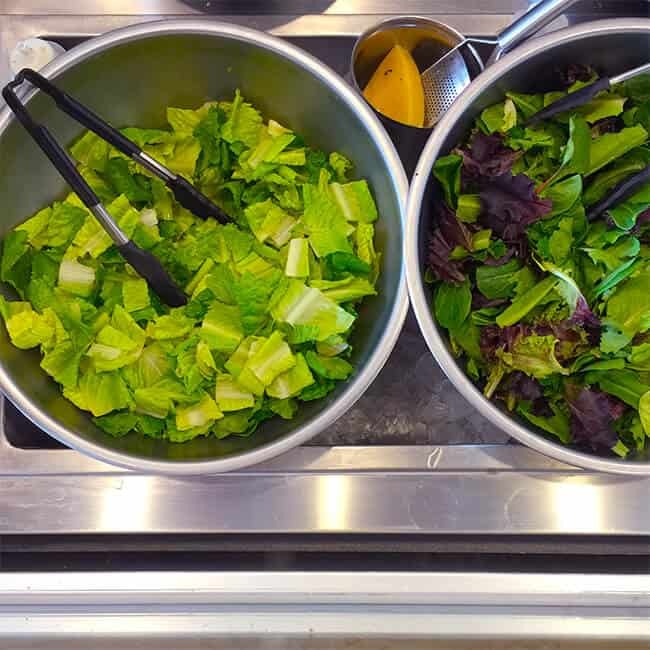 the department includes a rotating hot bar, an all-organic salad bar, daily breakfast, and global cuisine. 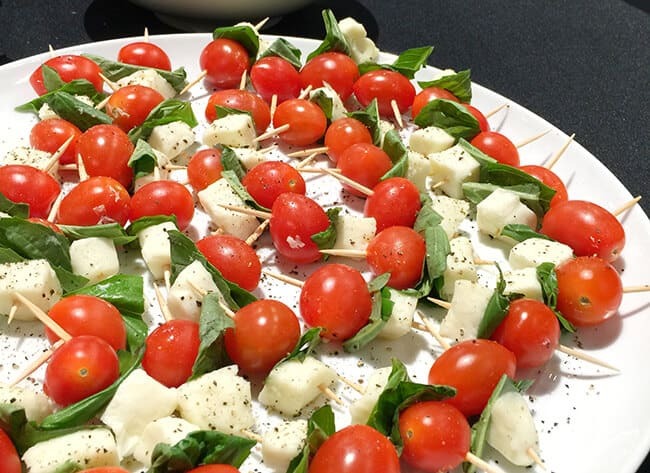 catering is available for office and home entertaining needs. 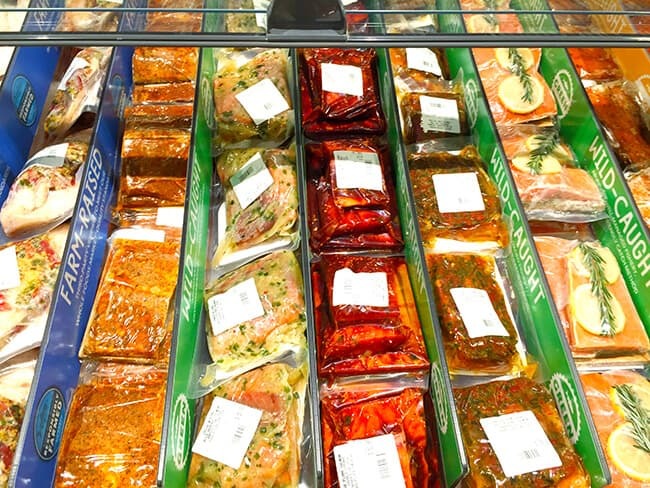 deli items and meats are free of added synthetic nitrates and nitrites. 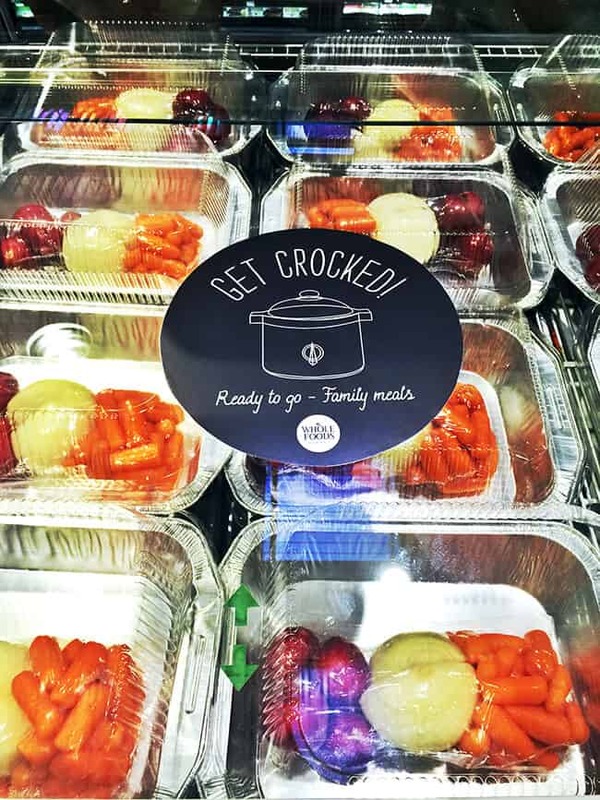 prepared foods items meet the same standards as all products sold in the store and many are locally sourced. 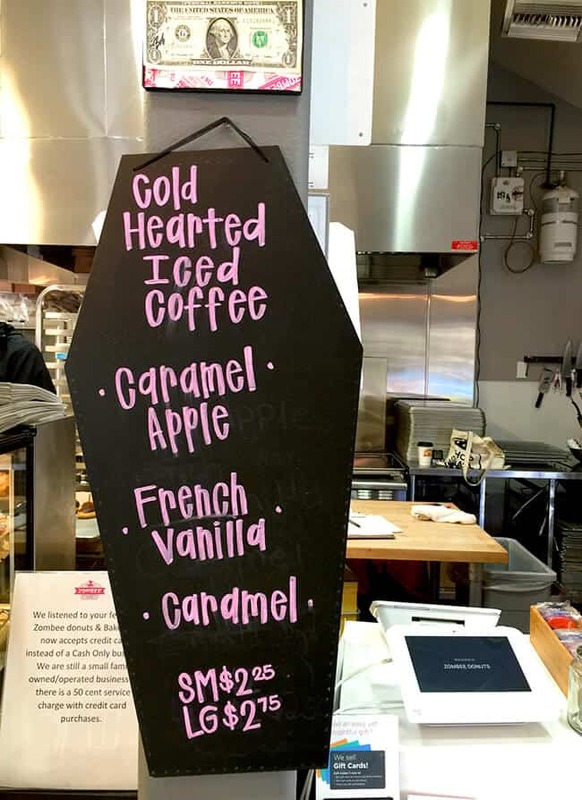 a beautifully designed coffee bar with an Italian-crafted espresso machine and cold brew coffee on tap offers custom espresso drinks and coffee made with organic, fair trade and Whole Trade Guarantee™ coffee beans. 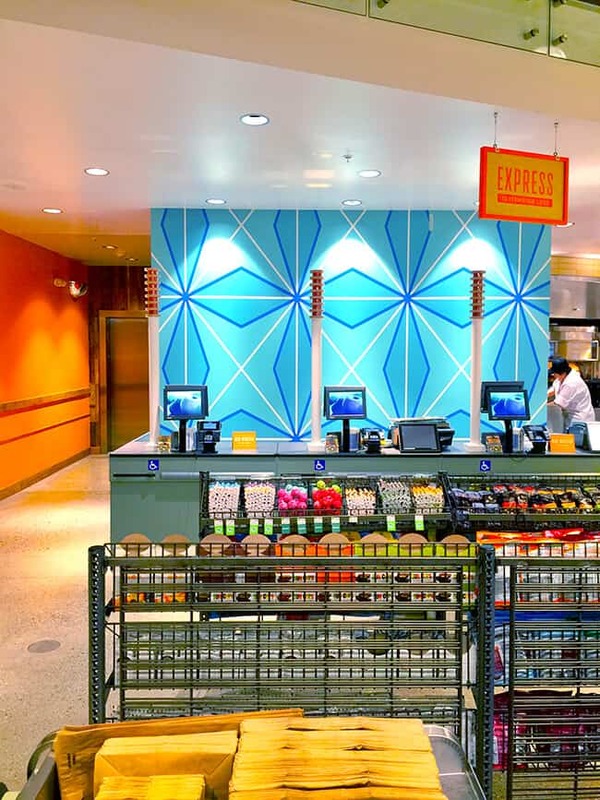 the smoothie and juice bar offers made-to-order smoothies with choice of toppings, juices and “boost-ups” like pressed ginger, turmeric and wheatgrass. 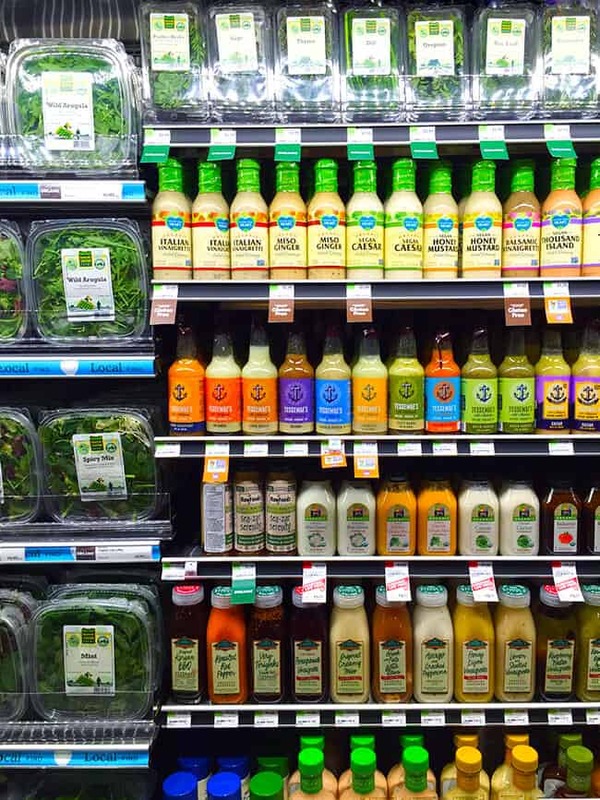 the produce department includes an extensive selection of organic fruits and vegetables from local Southern California growers, local organic micro-greens, and orchids. 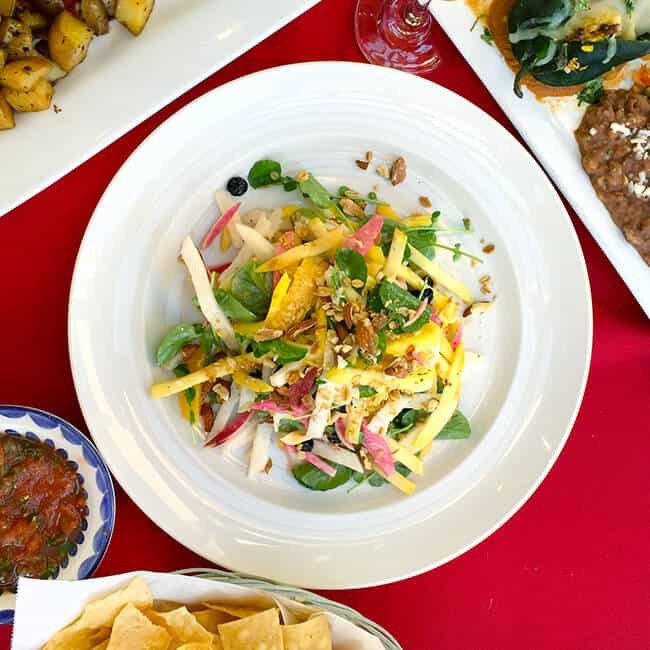 seasonal culinary selections include varietal and exotic items from around the world. 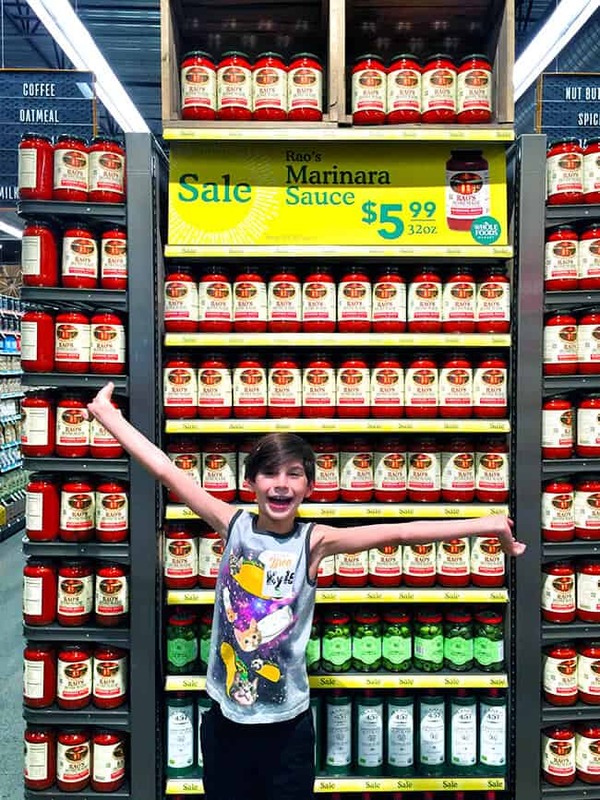 plus, cut fruit, vegetables, veggie pasta noodles, salsas and guacamole are made in-store daily. 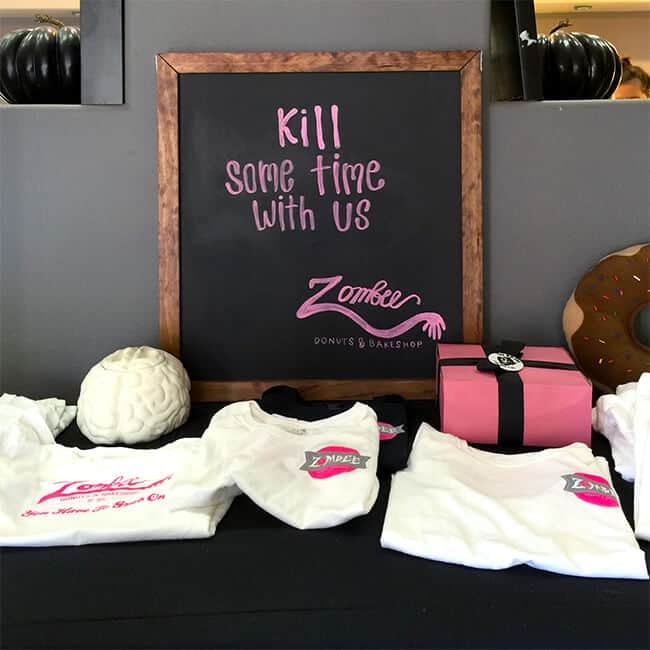 the bakery department offers custom in-house cake decorating and an elegantly designed cake case filled with in-house and local items such as macarons and gluten-free-mousse cups. 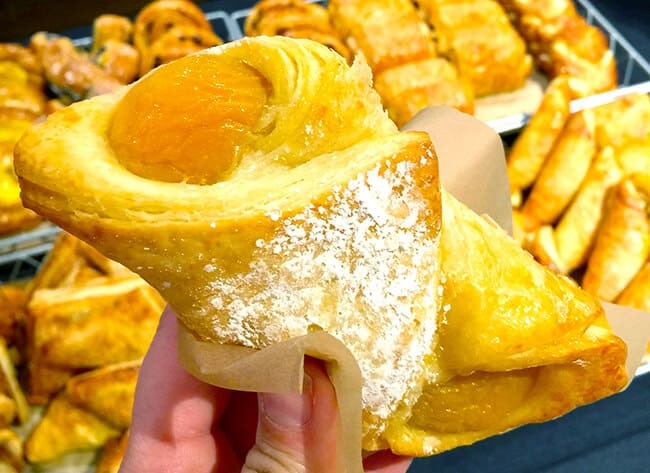 it also features Whole Foods Market’s Non-GMO Project-verified cookies and seven varieties and artisan, hand-kneaded, hand-shaped, scratch bread that begins with a living 20-year-old starter made with unbleached flour and without artificial preservatives or hydrogenated fats. 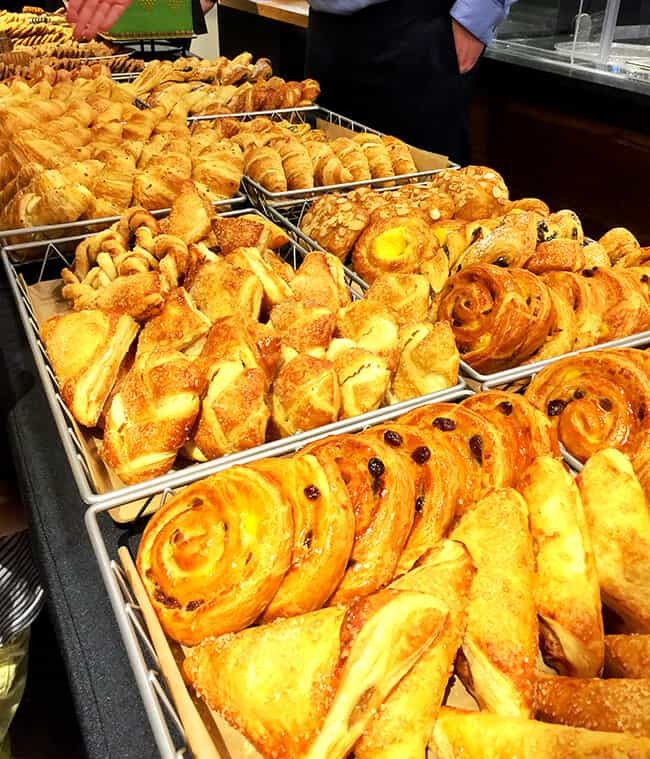 the bread is made fresh daily by in-store bakers. 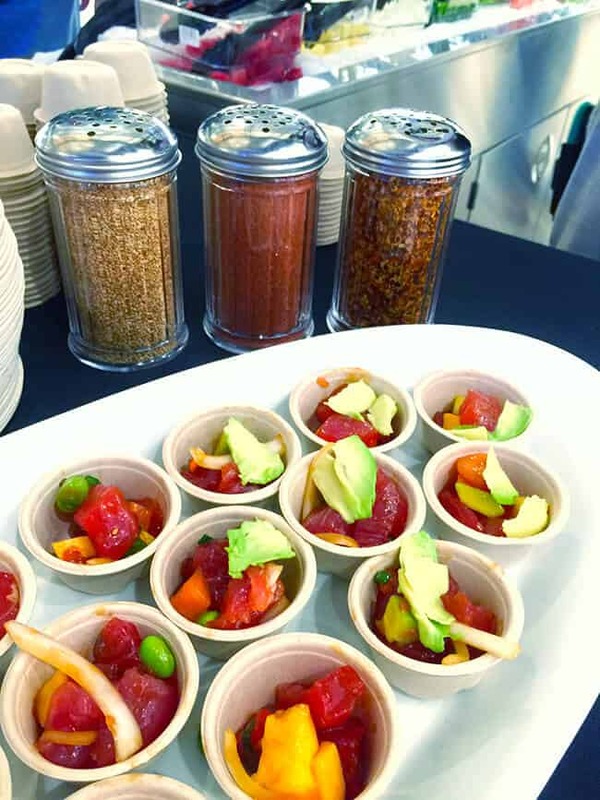 the seafood department carries made-to-order poke and hand-sliced smoked salmon daily, sustainably sourced fresh fillets, steaks, local and seasonal seafood. 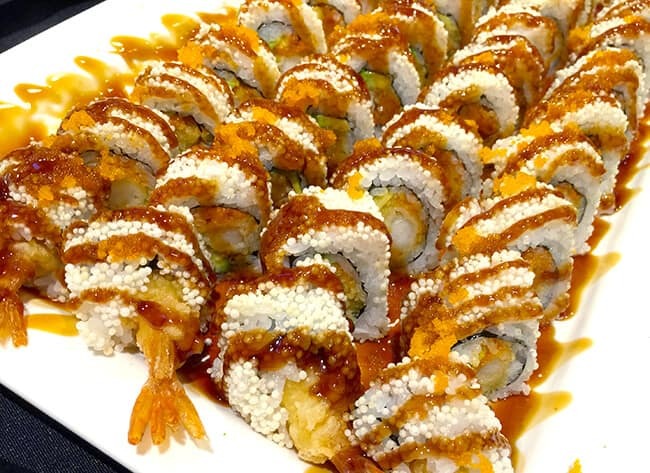 seafood is cut in-house daily and is delivered six days a week, and the fresh whole fish can be cleaned at no charge, a grill-ready assortment of seafood burgers, crab cakes and marinated options, value-priced, vacuum-packed fish and shellfish, and a variety of seafood salads and ceviches made fresh daily. 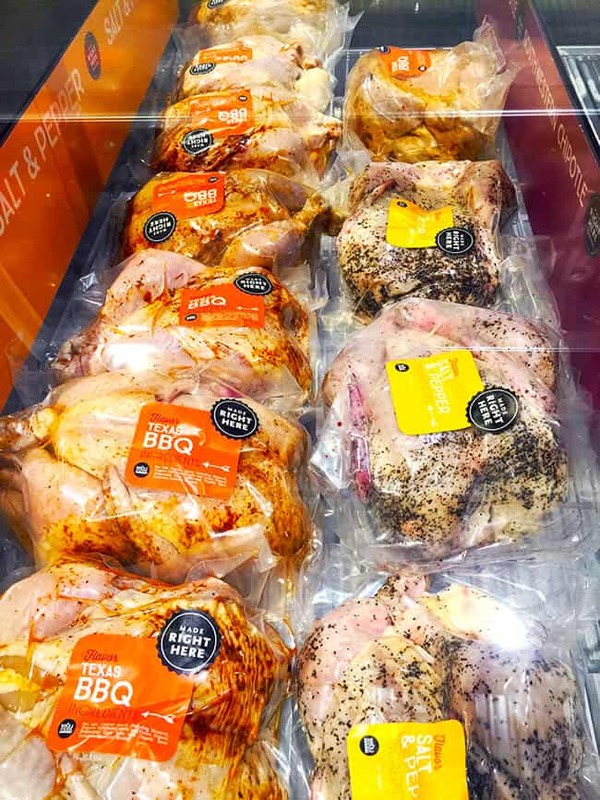 the Whole Foods butchers can provide any cut and size of the highest quality meats from animals raised without the use of antibiotics and added hormones. 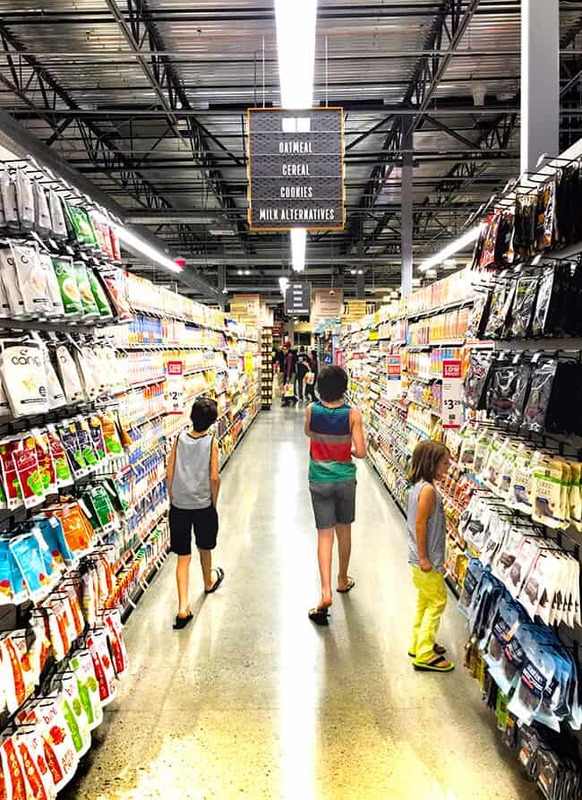 all beef, chicken and pork are step-rated, using Global Animal Partnership’s 5-Step Animal Welfare rating system, and adhere to Whole Foods Market’s stringent quality standards. 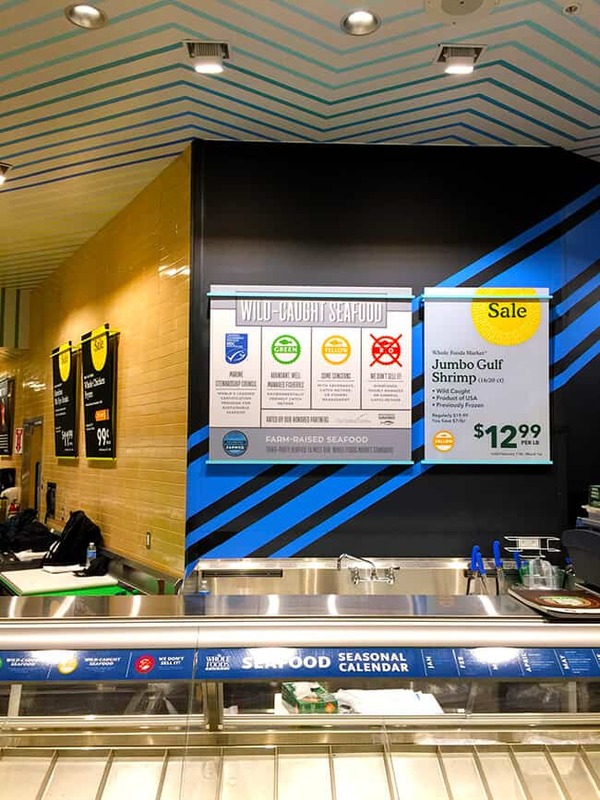 the store features full lines of 100 percent grass-fed organic beef and organic chicken and a selection of seasoned and marinated meats made in-house. 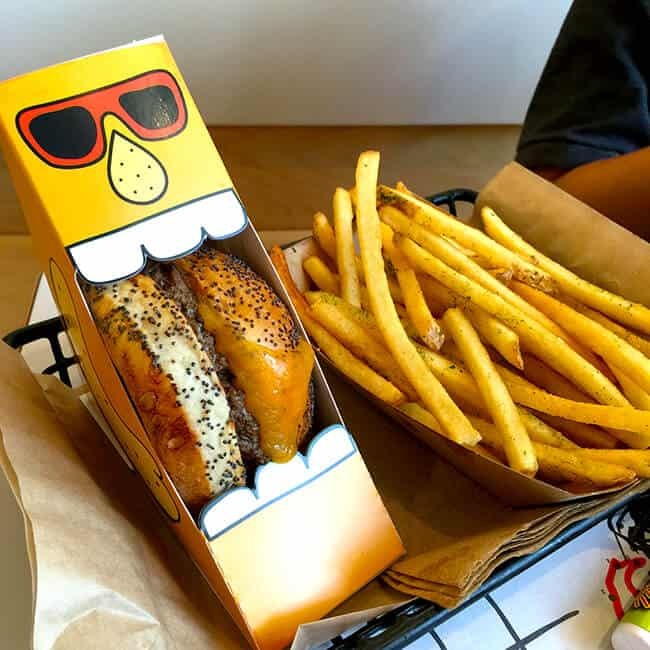 Smokehouse offerings include smoked-in-house meat sandwiches and bowls. the Whole Body department boasts a large “active living” selection of protein powders, supplements and clothing. 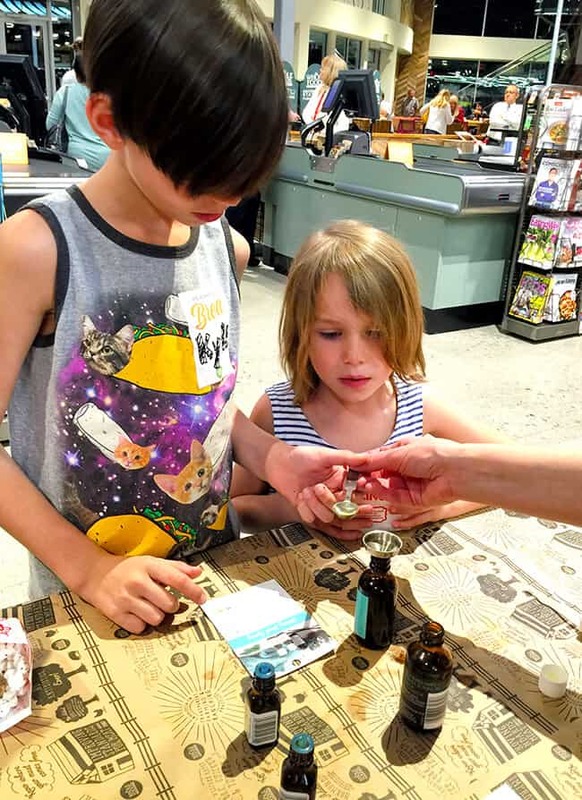 all supplements sold at Whole Foods Market are free of artificial colors, flavors and hydrogenated oils; and products with the “Premium Body Care” seal meet the strictest standards for quality sourcing, environmental impact, results and safety. 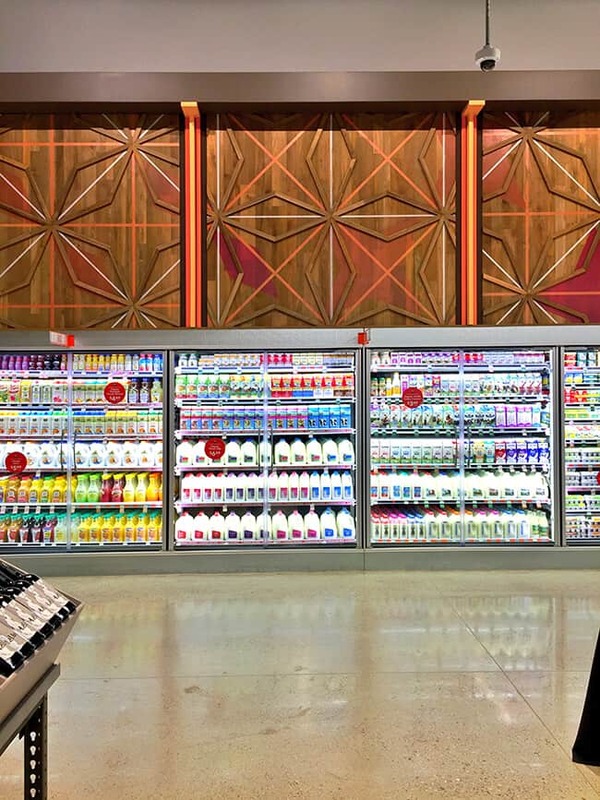 the store’s specialty department features a hand-picked wine collection of more than 1,000 wines, with eco-friendly and biodynamic wines. 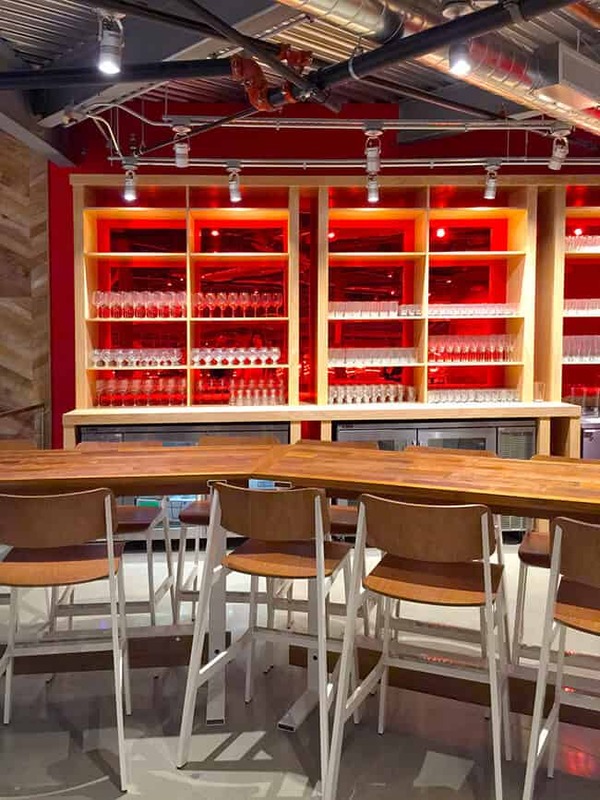 more than 100 bottles are less than $10, and the department offers a varied selection of hard-to-find, special-occasion wines and grower champagnes The department also features 32 feet of chilled beer with an assortment of local craft beers, domestic favorites and unique imports. 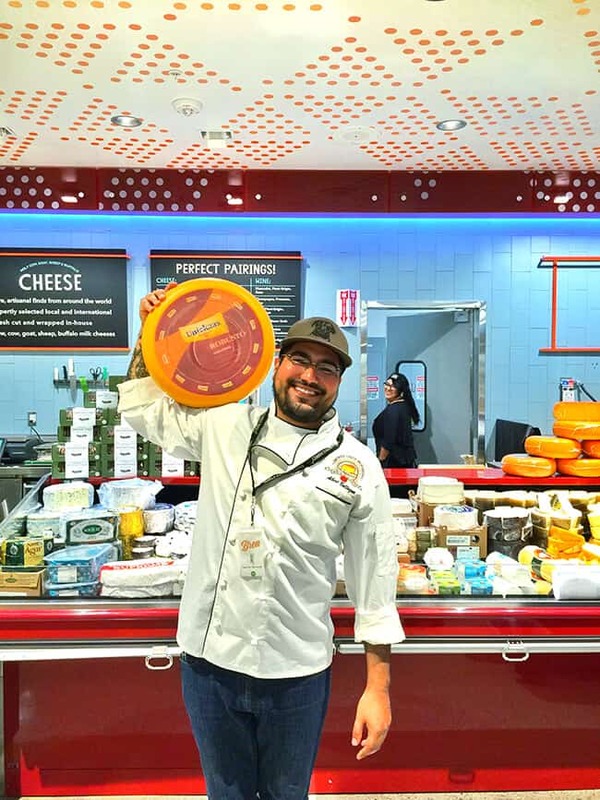 a comprehensive selection of raw, grass-fed, farmstead and artisanal cheeses can be cut to order and sampled at any time. 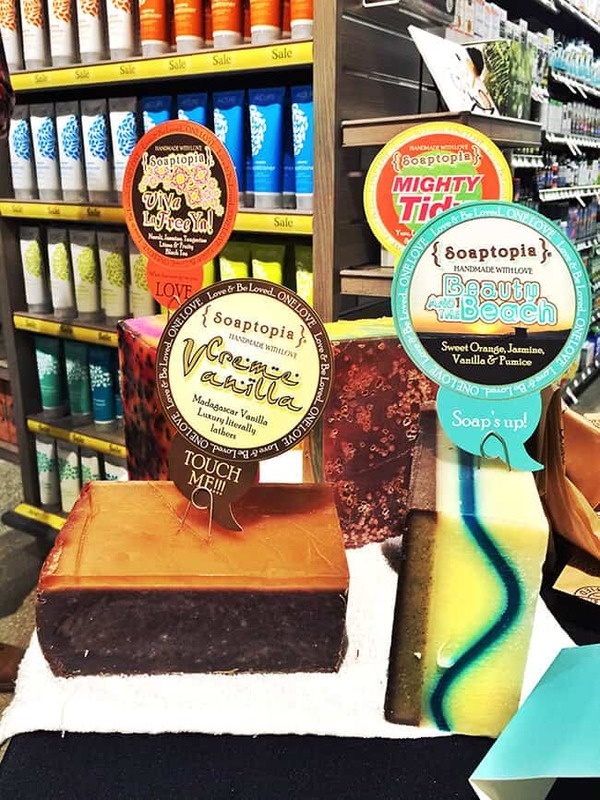 the best thing about Whole Foods Market, is that shoppers can choose from hundreds of 365 Everyday Value™ products, locally made packaged goods, frozen meals, Whole Paws pet food products, and home and cleaning products bearing the Eco-Scale label, indicating environmental impact. 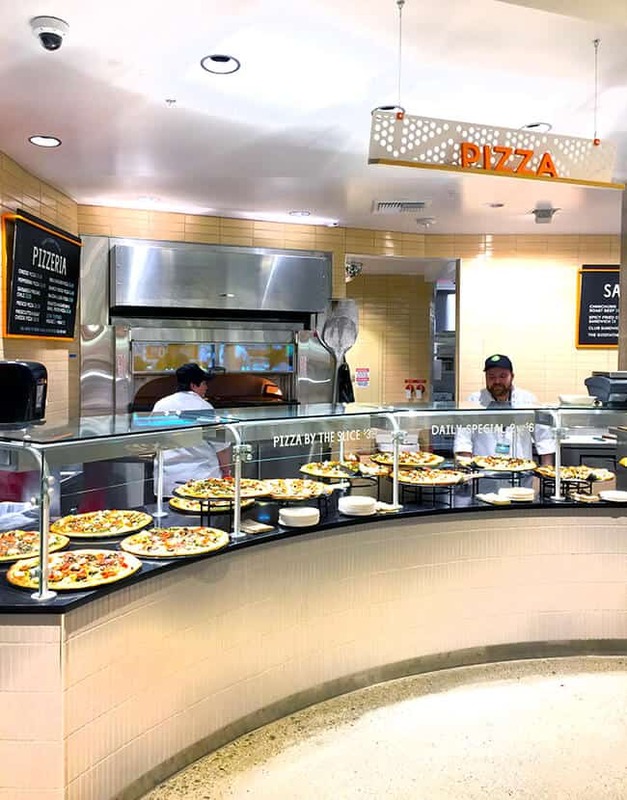 the frozen section includes 46 doors of goodies from entrees to ice cream, pizzas and more. the bulk section offers dozens of grains, flours, nuts, spices, candies available by the pound, and grind-your-own peanut butter. be sure to check out the end-caps, because that is where you will find all the great deals of the week. 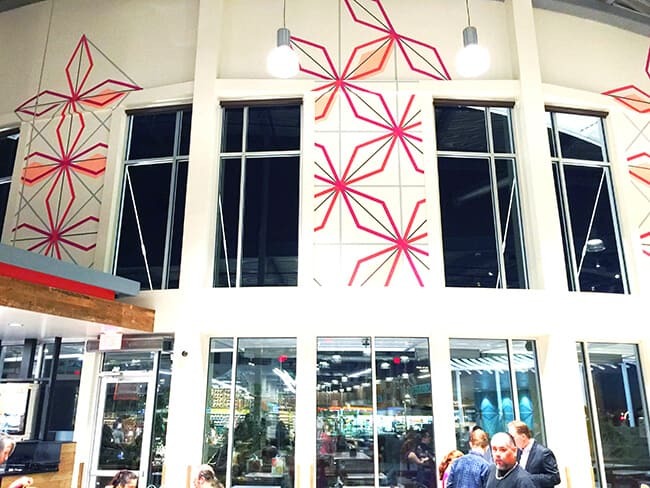 with its mix of innovative offerings and its mid-century design, the expansive 38,000-square-foot retail destination will bring a culinary wonderland for shopping, dining and entertaining to North Orange County. 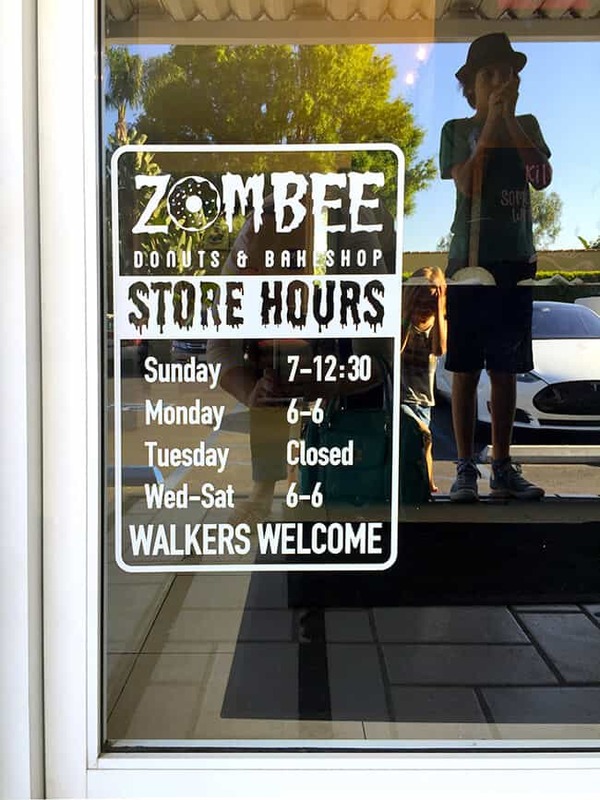 the store will be open daily from 7 a.m. to 10 p.m. for details on all upcoming events and activities, isit the store’s events page, or follow the store on Facebook. 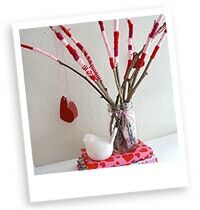 i am so excited that i was able to share some photos of the new store, and hopefully you can check it out soon. the boys and i are ready to go shopping.